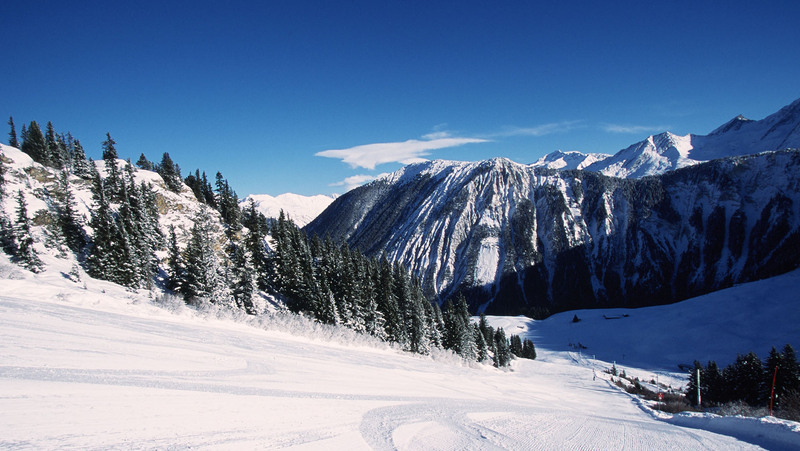 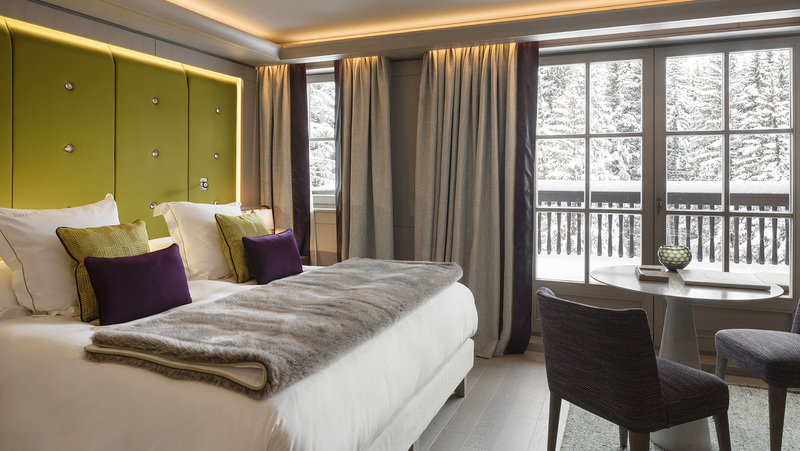 Enjoy the amazing ski slopes of the French Alps, and après-ski fun in the village of Courchevel 1850, book now your stay at the Cheval Blanc with Casol! 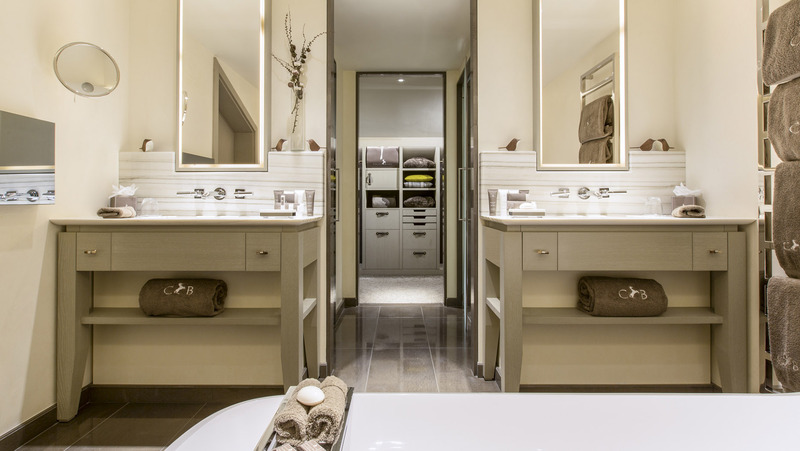 Need space, luxury and privacy? 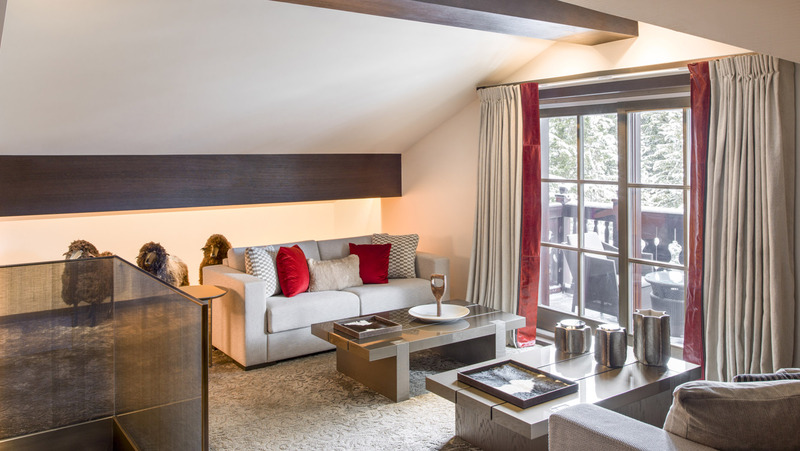 Relax in your 4 bedrooms penthouse apartment on two floors, 3 bedrooms chalet, or one of the 36 suites and rooms! 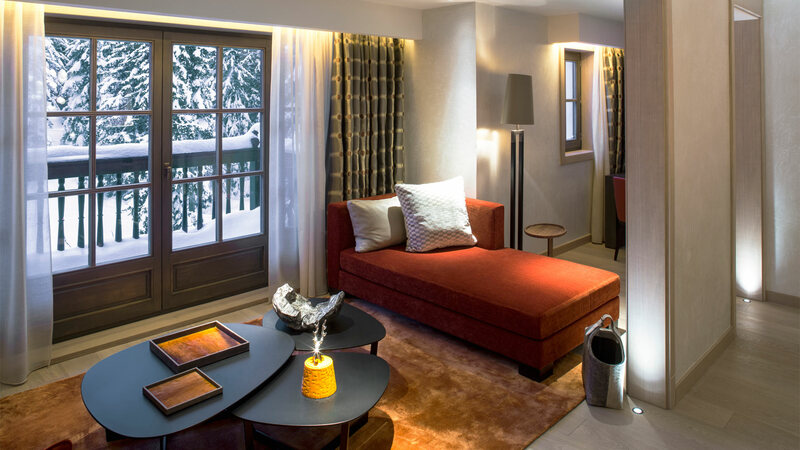 Ski in / ski out from Le Cheval Blanc, located in the prestigious Jardin Alpin, with an inviting and intimate Maison to relax and gather with others. 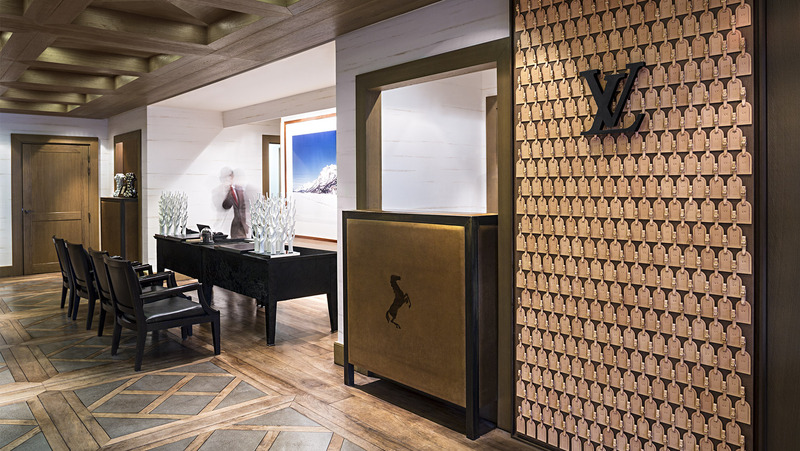 Experience the truly contemporary spirit in high-altitude, reinterpreted with boldness and modernity, inspired by Les Trois Vallées, the largest ski domain of the world! 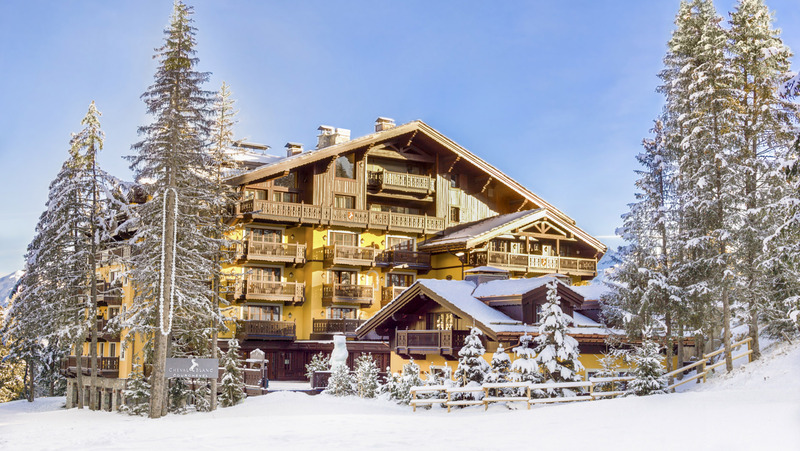 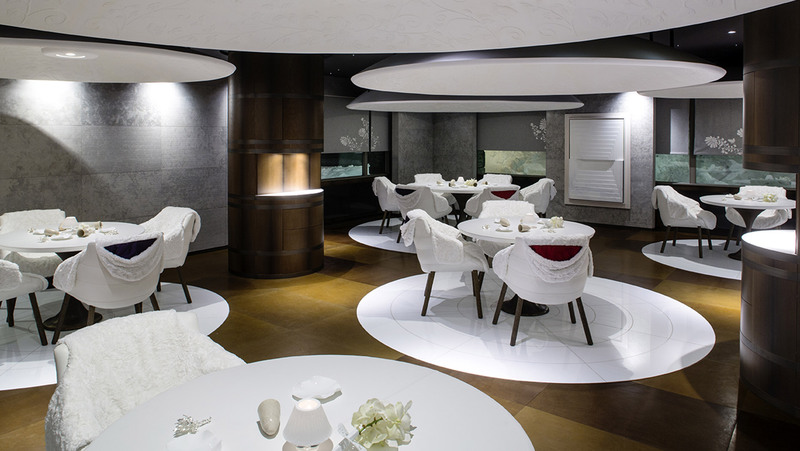 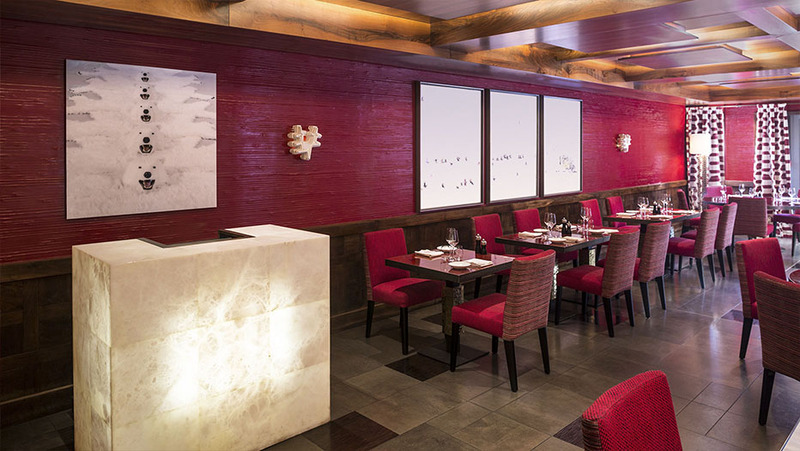 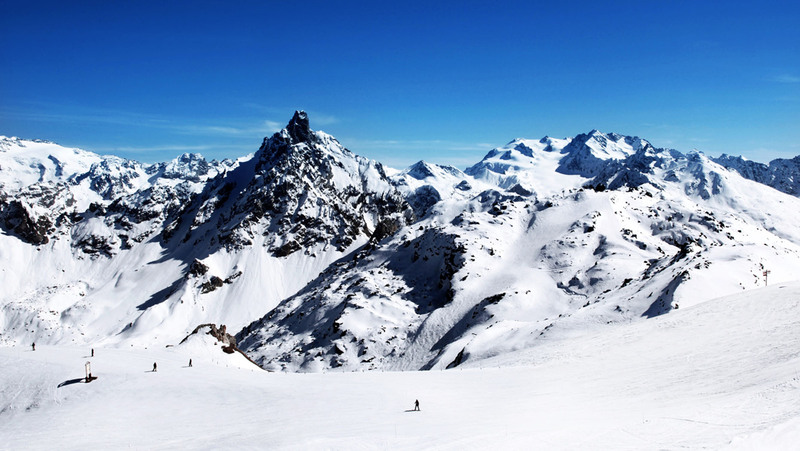 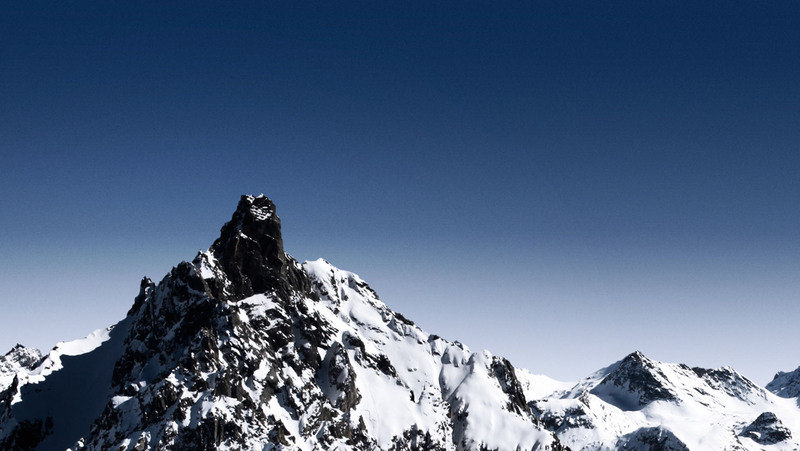 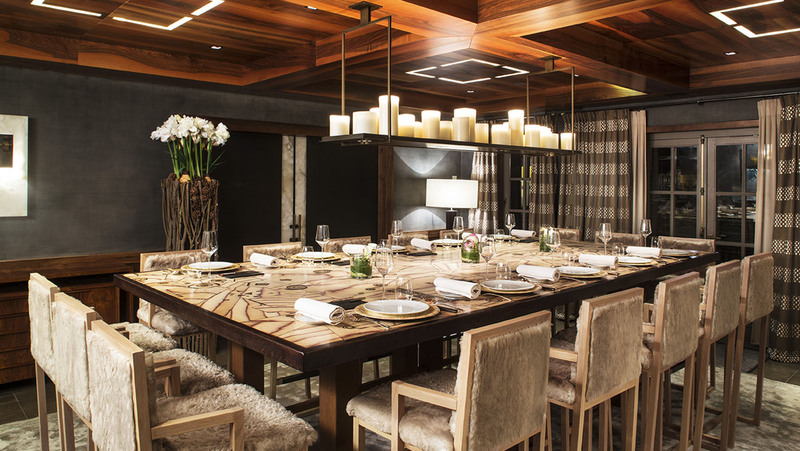 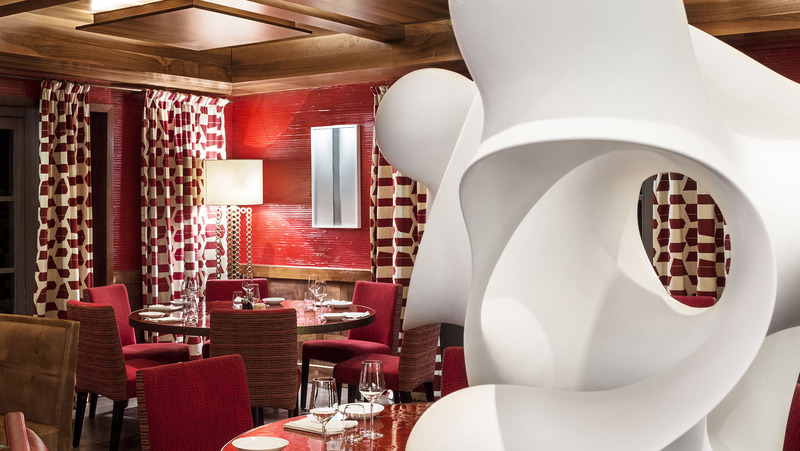 Since its creation in 2006, Cheval Blanc Courchevel has established itself as an exceptional retreat at the summit, flirting with the snowy peaks. 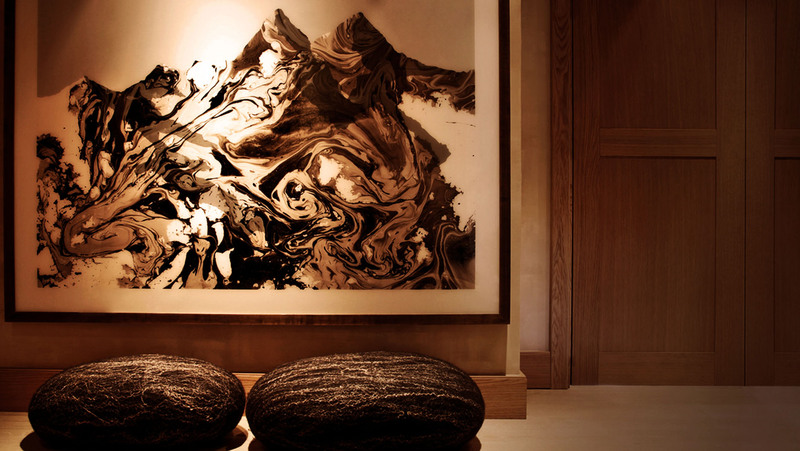 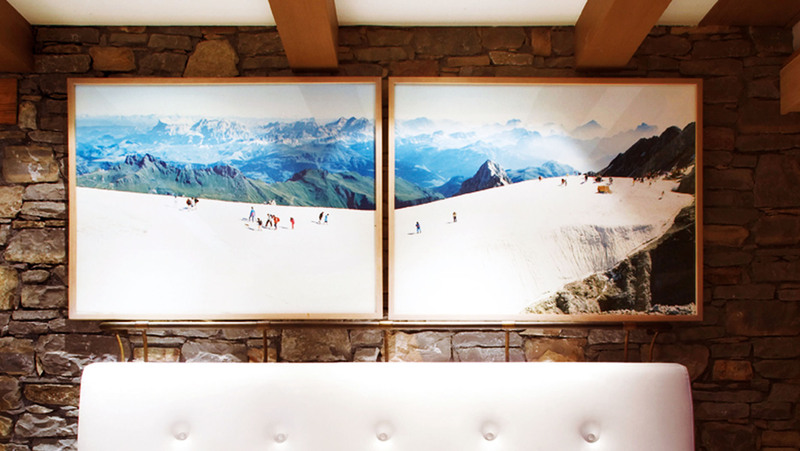 Space, pleasure and comfort come together beyond the mountain tops. 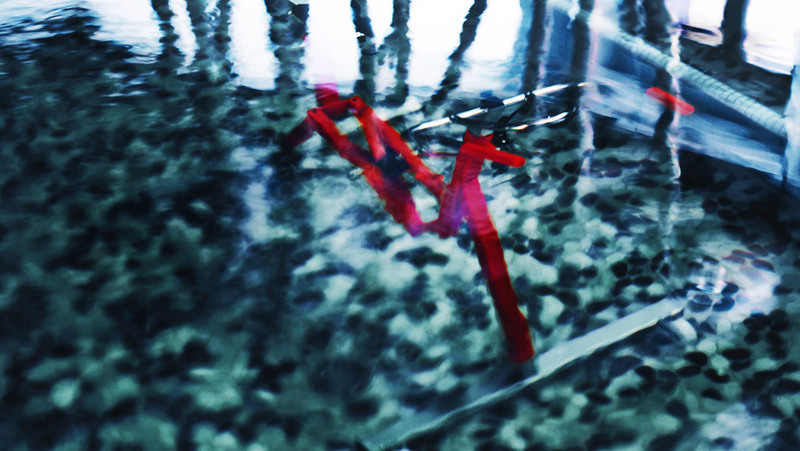 Love arts? 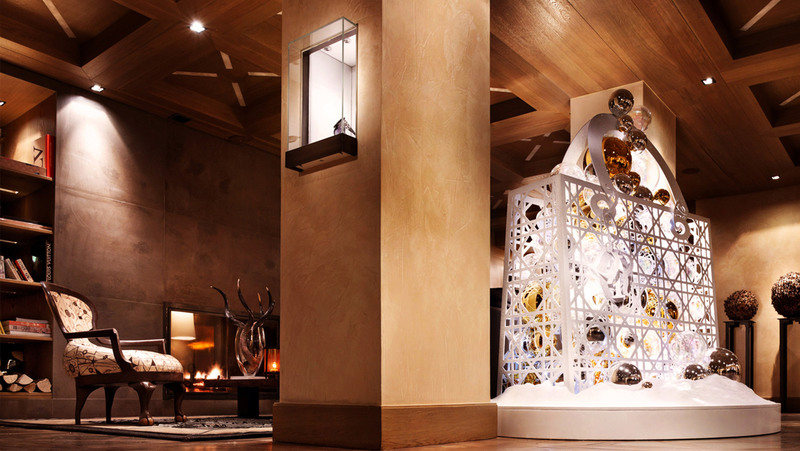 Live unique winter moments, surrounded by a collection of works of art, handpicked by the team of LVMH, the architects from Atelier COS and Sybille de Margerie. 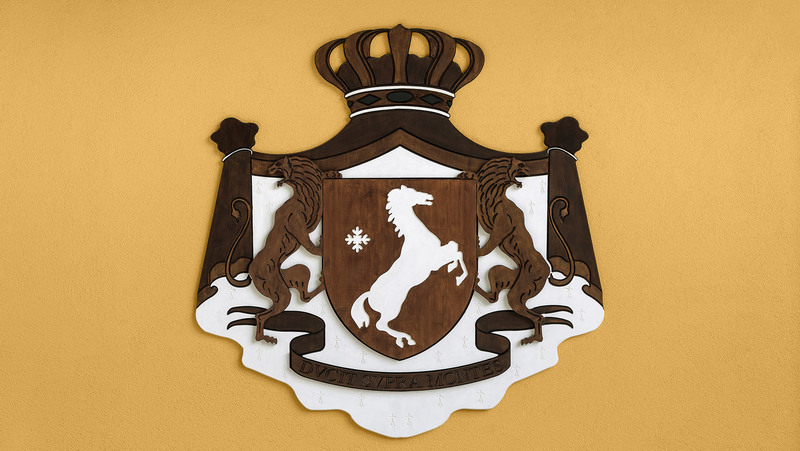 Crowning the Maison, the Bruno Peinado horse is perched majestically on his throne. 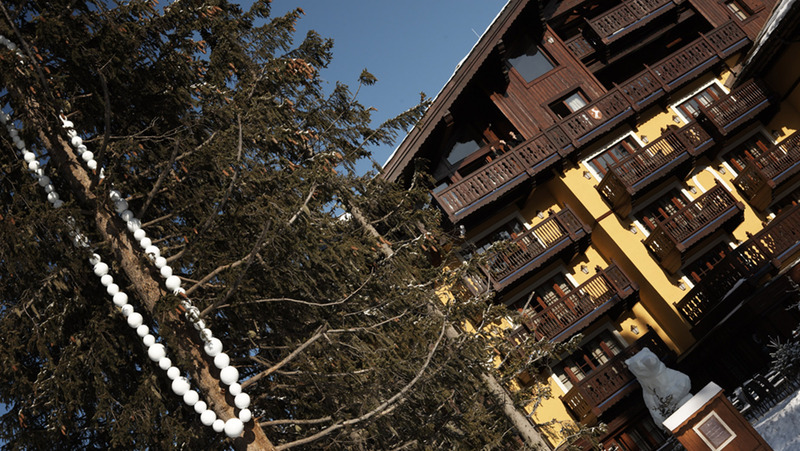 On the slope-side, Xavier Veilhan’s iconic bear keeps an eye over skiers whilst Jean-Michel Othoniel’s delicate pearl necklace sparkles in the immaculate white surroundings! 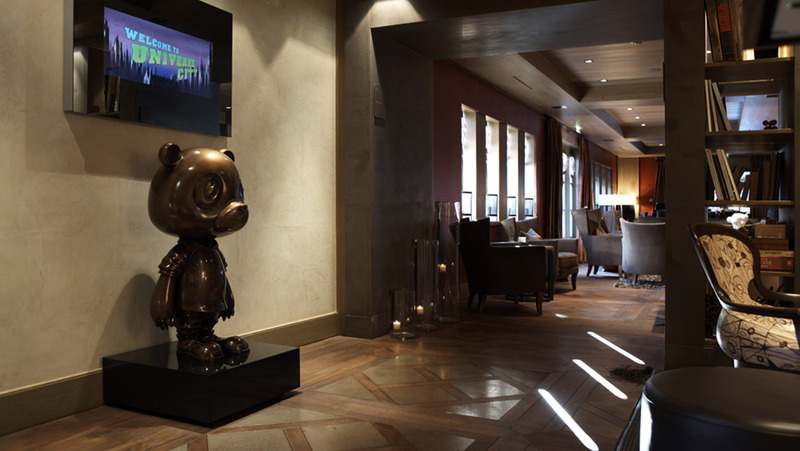 Inside the Maison, the collection of art expands each year. 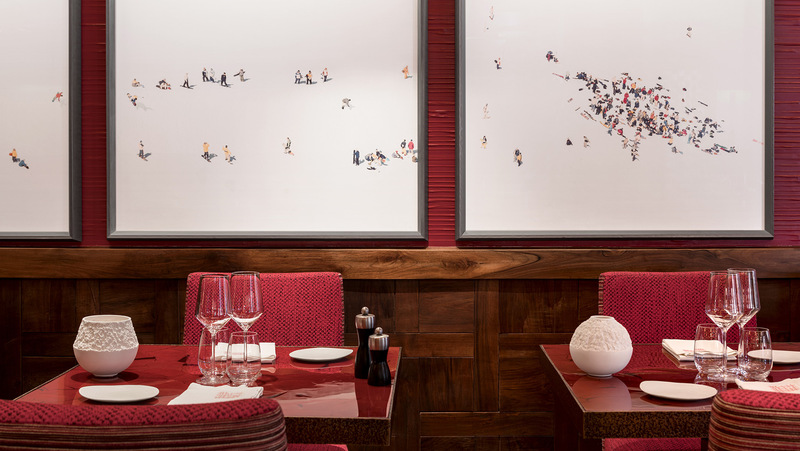 Works by Gursky, Murakami, Pivi and Lagerfeld fall seamlessly into the décor and captivate the eye in different spaces and time of day. 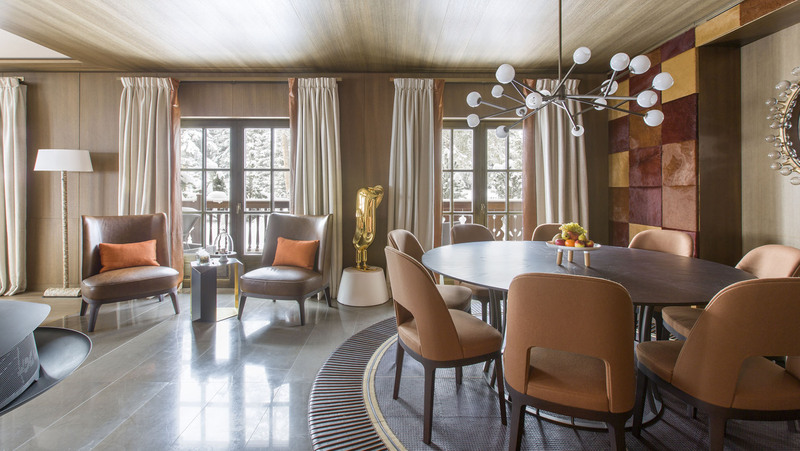 Discover the sophistication and sensuality of precious materials: cashmere, fur, and leather, play softly with the elegant contrasts of steel, bronze and brushed brass. 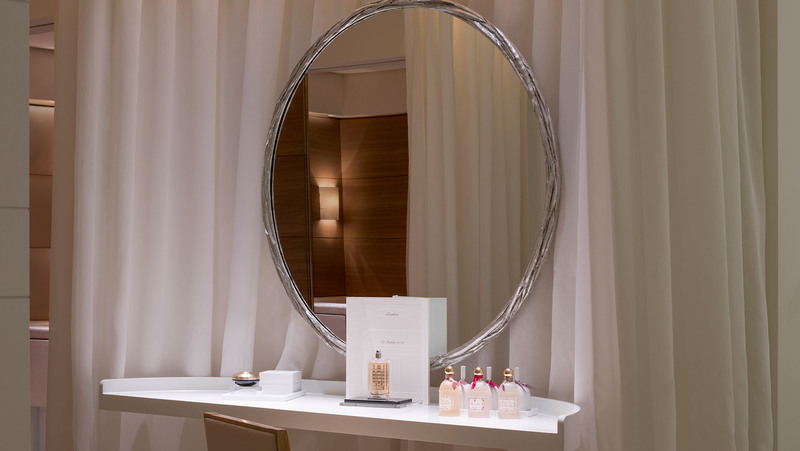 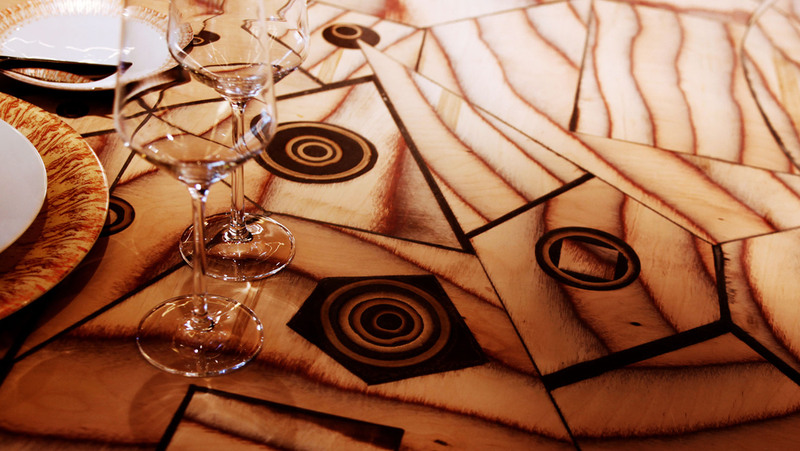 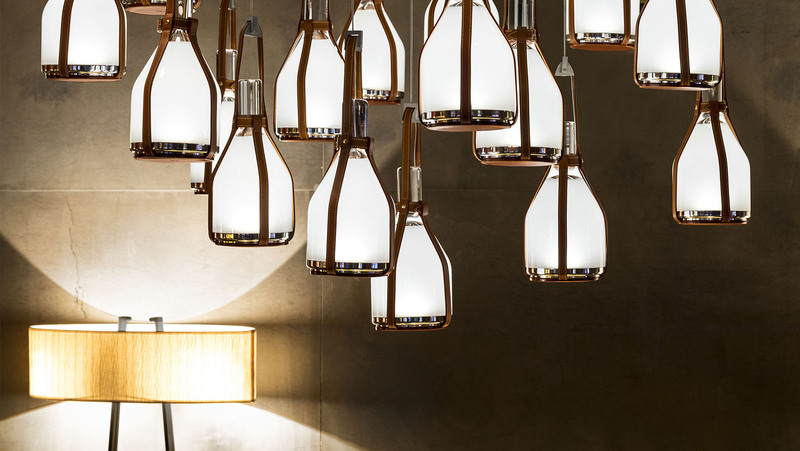 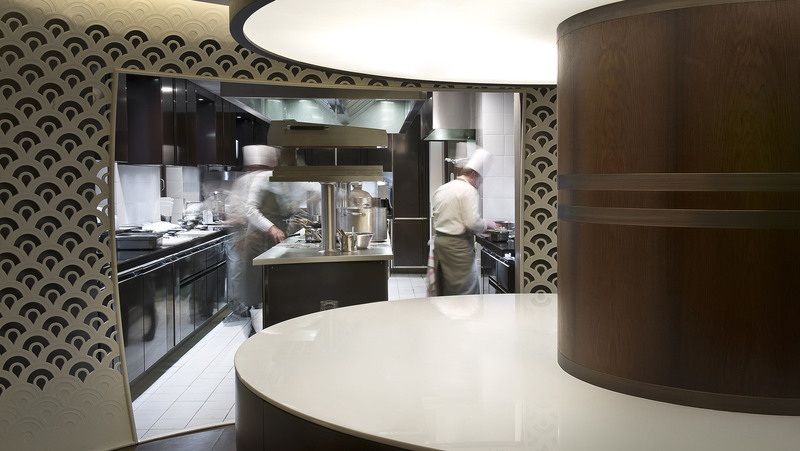 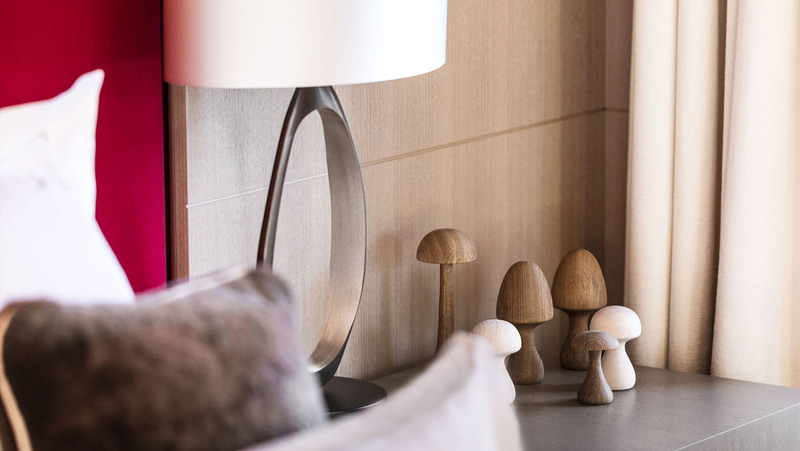 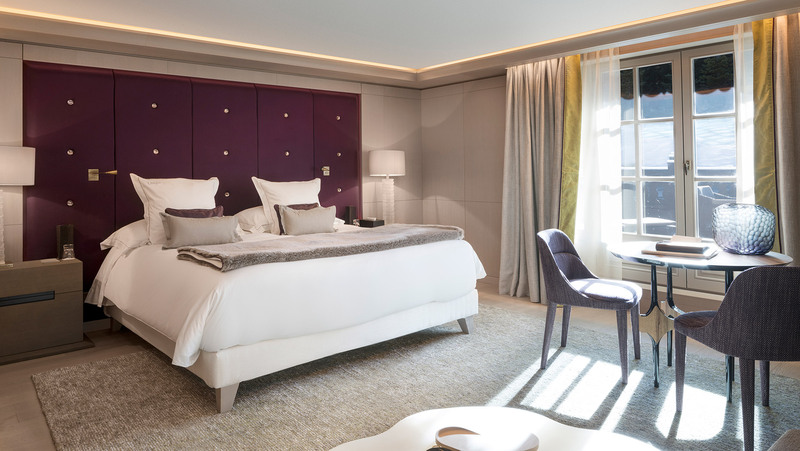 This reflects Cheval Blanc’s vision of hospitality: made to measure for you. 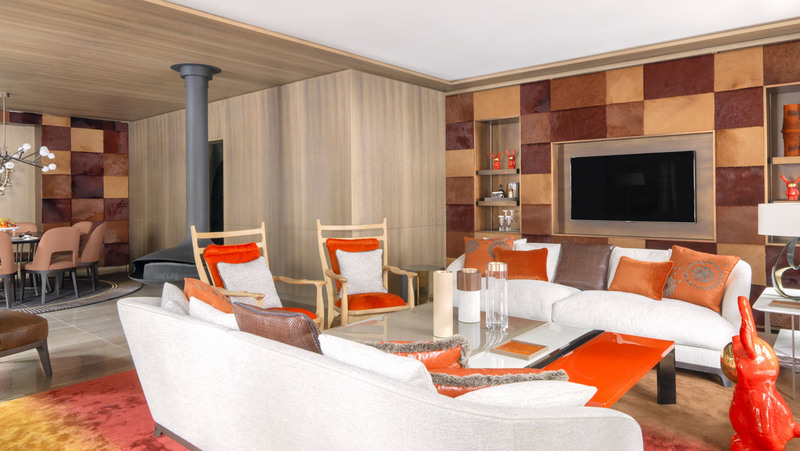 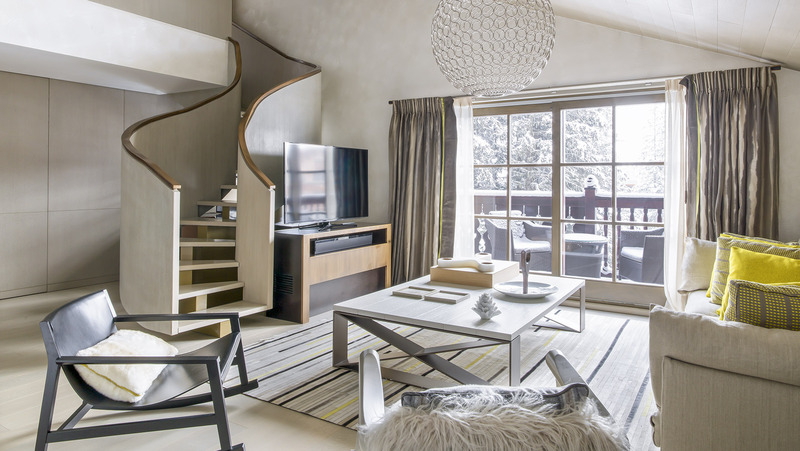 A confidential refuge located on the top two floors of the Maison, the Apartment offers you stunning views of Courchevel. 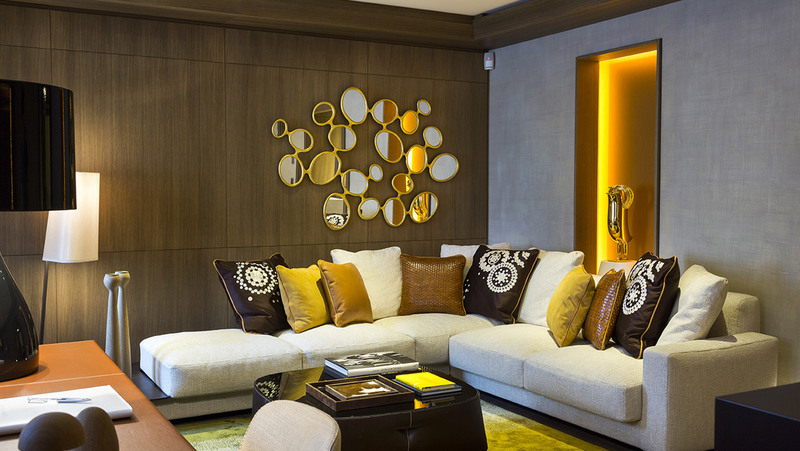 This exquisite hideaway penthouse of sprawling size spans over 650 sqm (7,000 sq.ft.)! 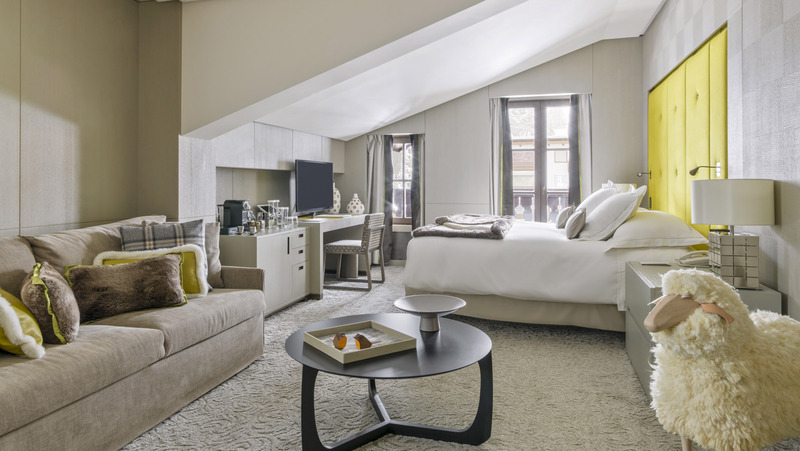 The fourth floor houses three bedrooms as well as a triple reception room with a grand piano, dining room, bar and private kitchen. 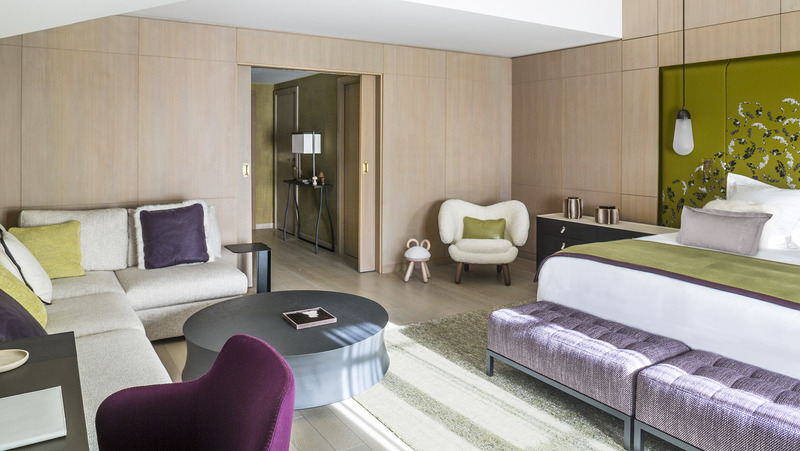 On the fifth floor, the master bedroom boasts two bathrooms, dressing rooms, a private spa treatment room and fitness centre. 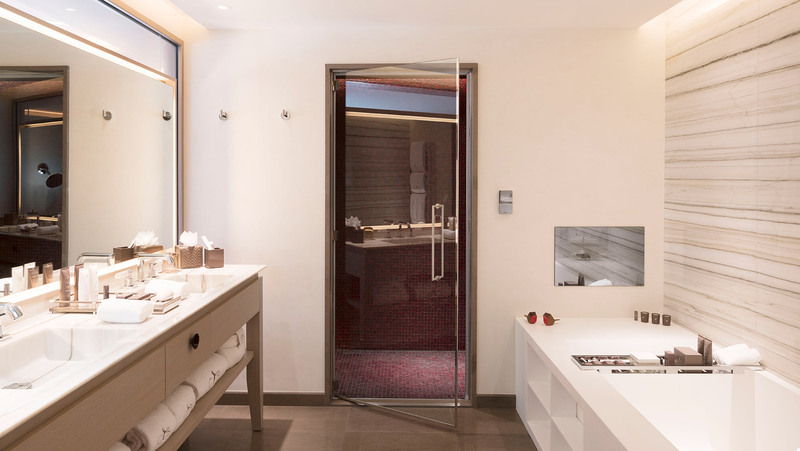 Privacy? 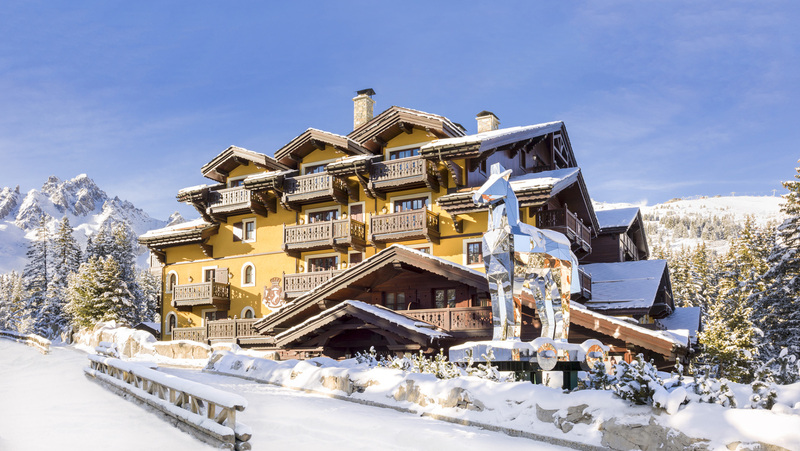 Enjoy your own apartment lift and a private ski salon with access to the slopes. 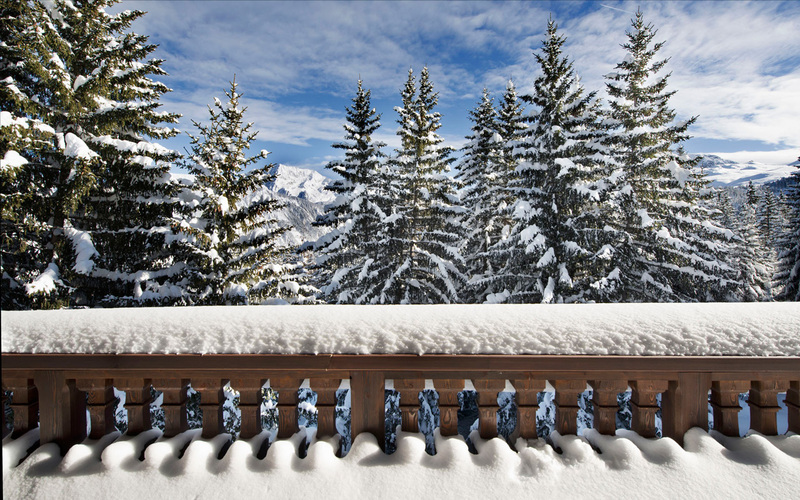 Desire your own chalet with 5 star services? 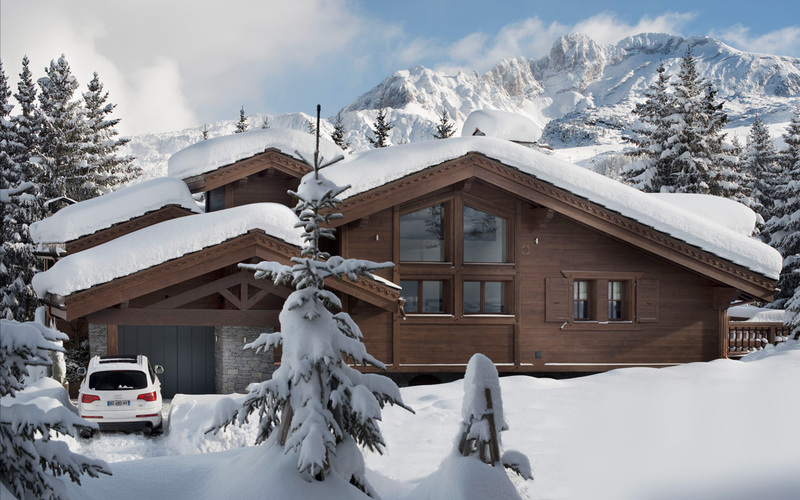 Entirely renovated, your Chalet spans 315 sqm (3,390 sq.ft.) 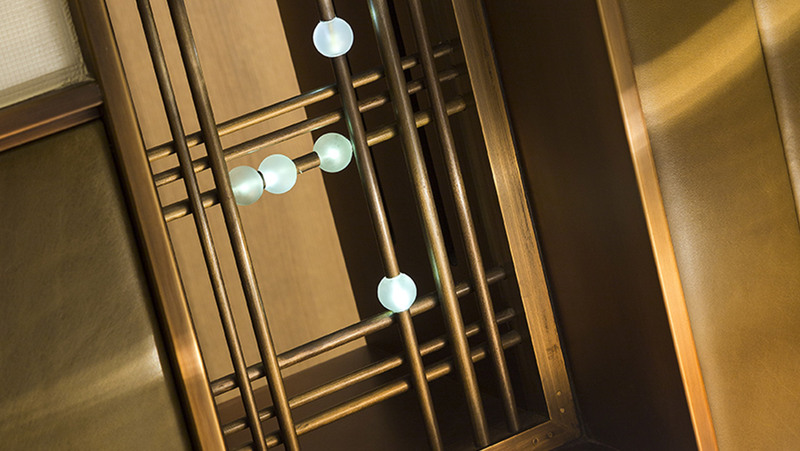 over four floors, each accessible by lift. 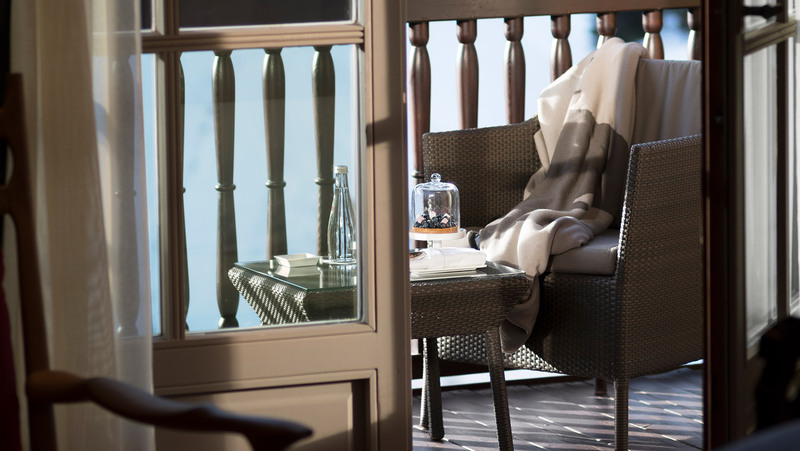 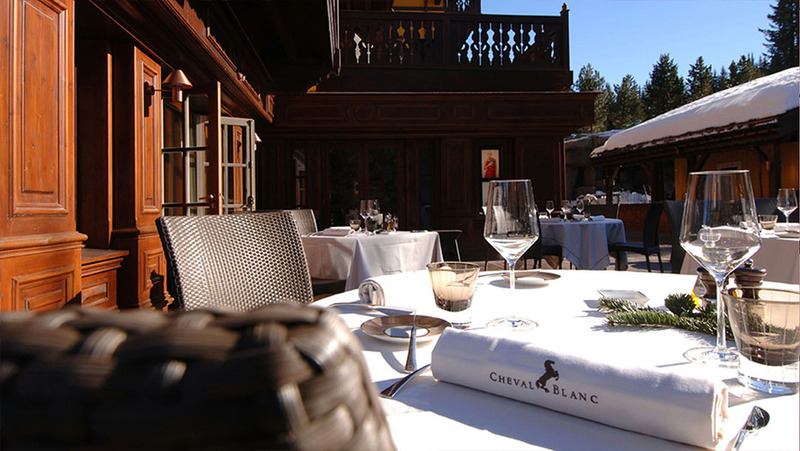 Feel the greatness, with your own private access, the Chalet offering you a truly exclusive mountain experience. 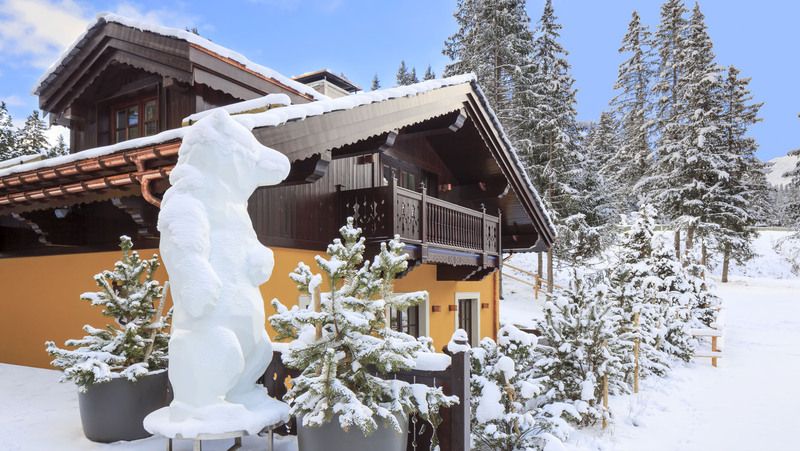 Sybille de Margerie, cleverly combines for you traditional mountain materials and original works of art to offer you and your friends, an exceptional contemporary retreat, at the base of the slopes. 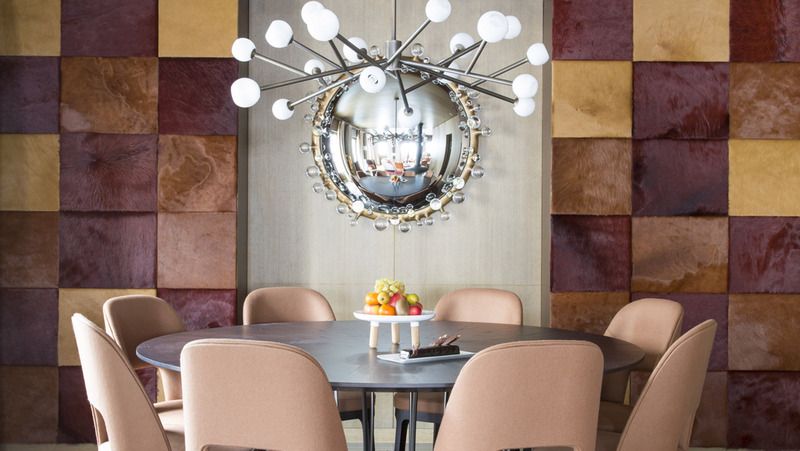 Need space? 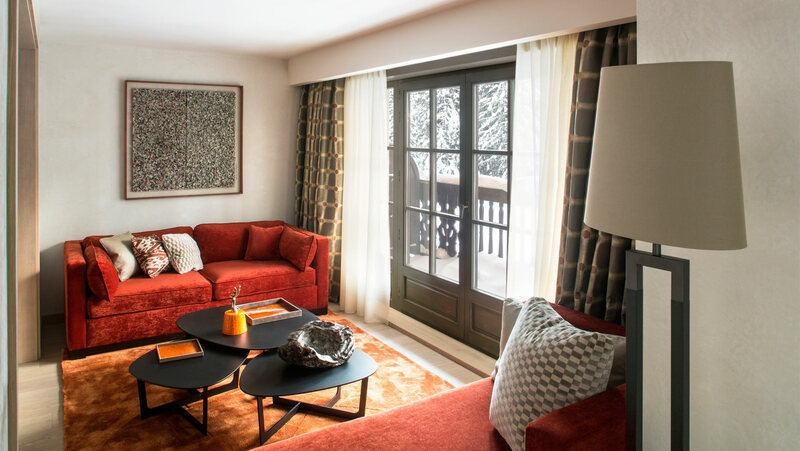 Your Chalet features a vast living area with a modern fireplace, a dining room, a private screening room as well as its own spa treatment room, relaxation lounge, sauna and hot tub! 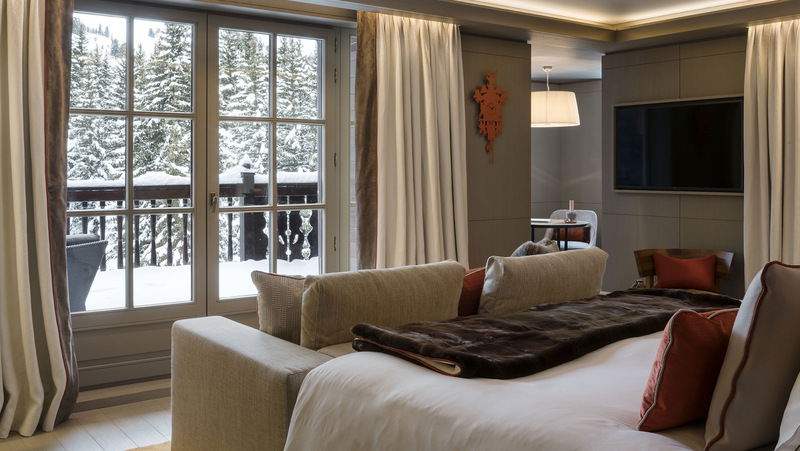 For your ultimate comfort, three generously appointed bedrooms invite you to enjoy the sweetness of life amidst the snow-veiled landscapes. 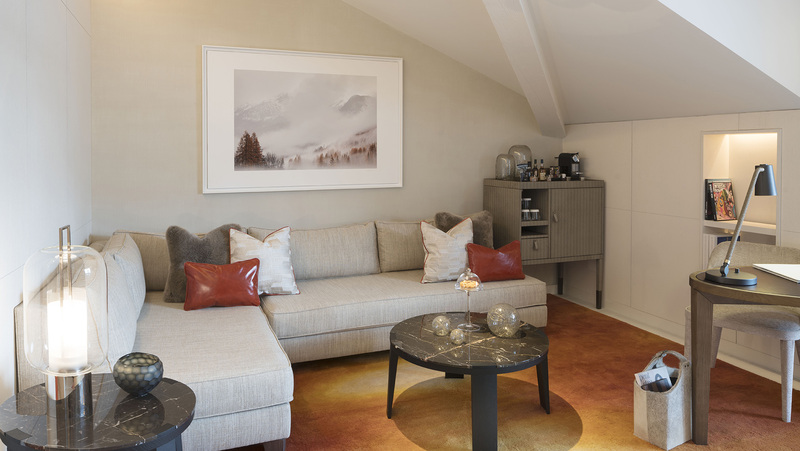 Each bedroom gives you freedom with a cosy living room, bathroom and dressing room! 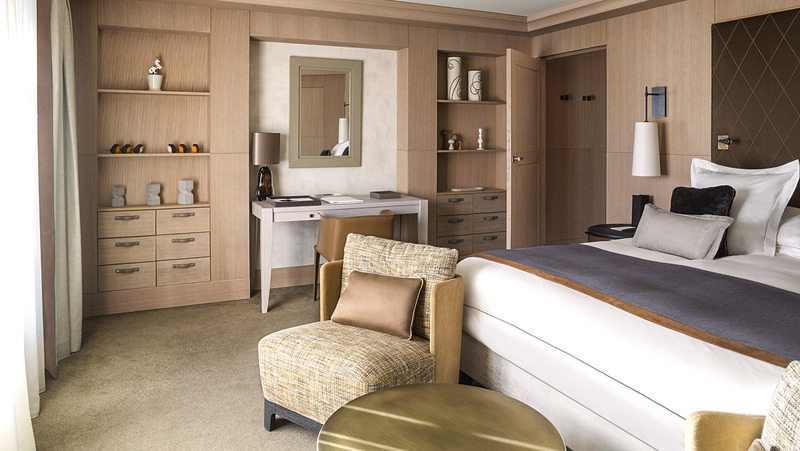 Combining elegance, charm and singularity, the suites reveal a cosy universe punctuated by precious materials and bespoke furniture. 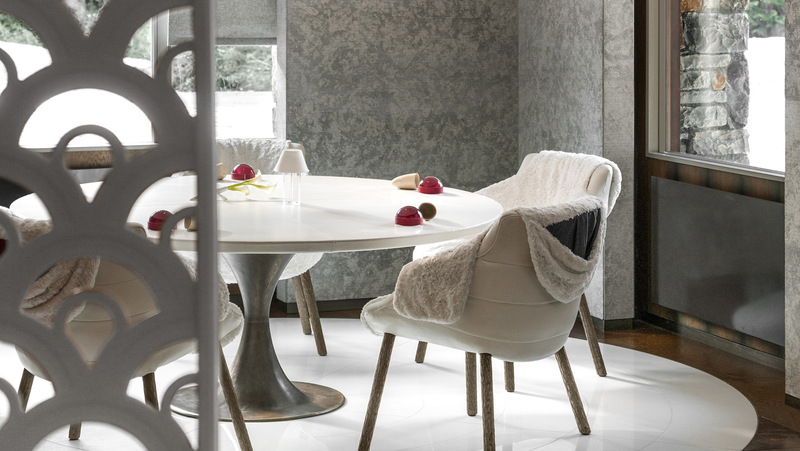 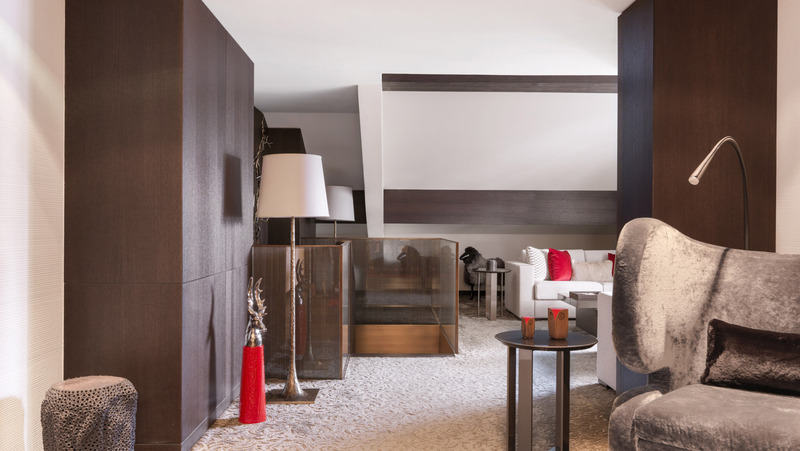 In red and white tones contrasted with accents of dark wenge wood, the Deluxe Duplex Suite of 105 sqm offers a dining room, living room and reading nook. 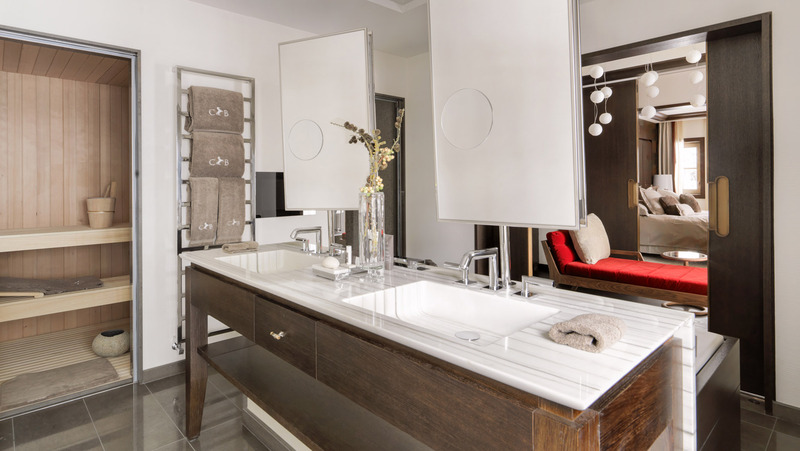 A staircase leads to the lower floor and bedroom, dressing room and chaise-lounge sitting area as well as the bathroom outfitted with a massage table and sauna to enjoy moments of relaxation in complete privacy. 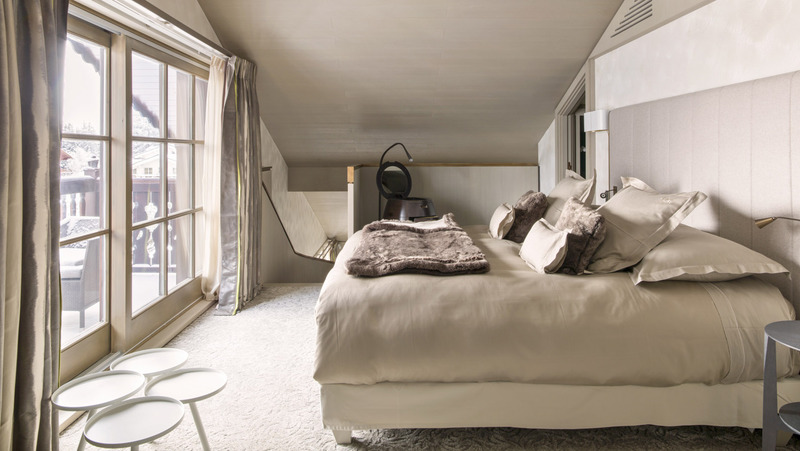 King size bed or twin bed. 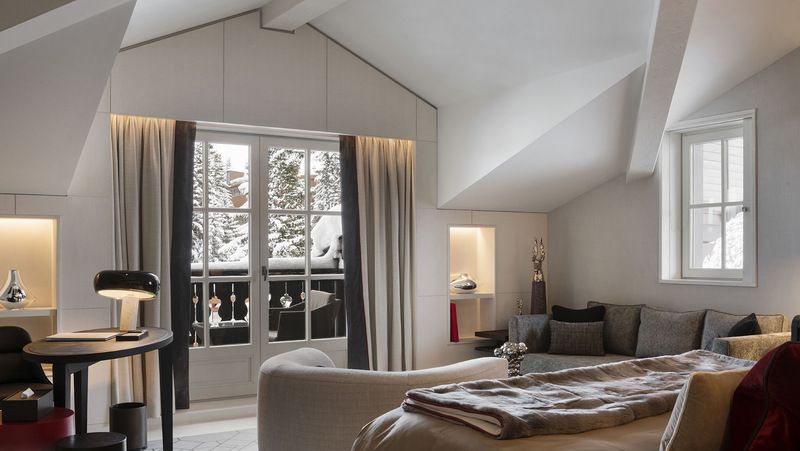 Romantic escape in the Alps? 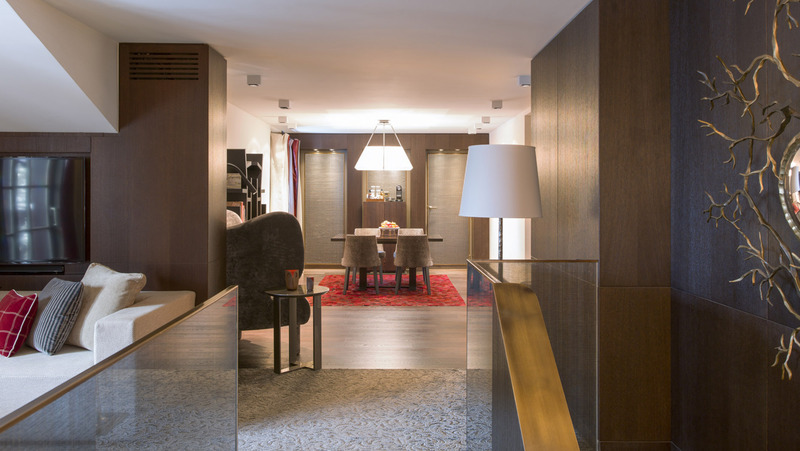 The Duplex Suite of 70 sqm is situated around a large light-filled living area, a library and an office. 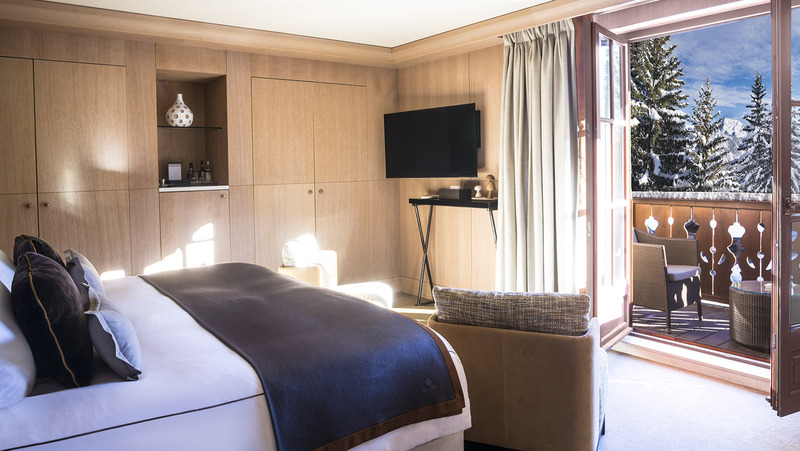 Upstairs, a suite decorated in blonde oak and soft colours hosts the bedroom, dressing room and bathroom offer you freedom and privacy. 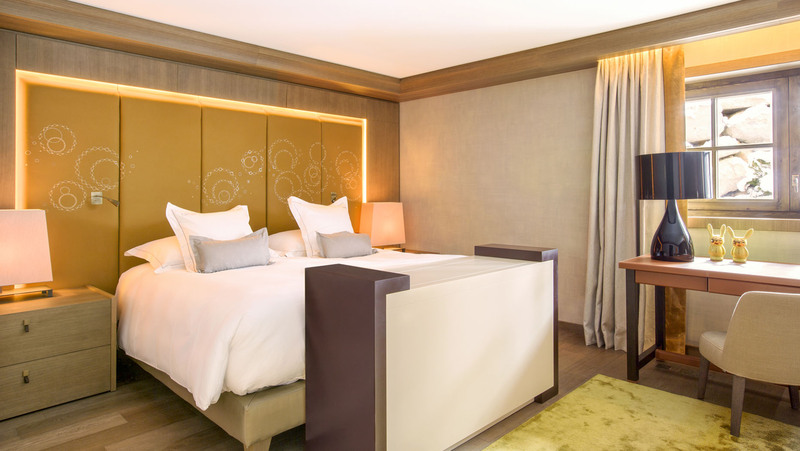 King size bed or twin bed. 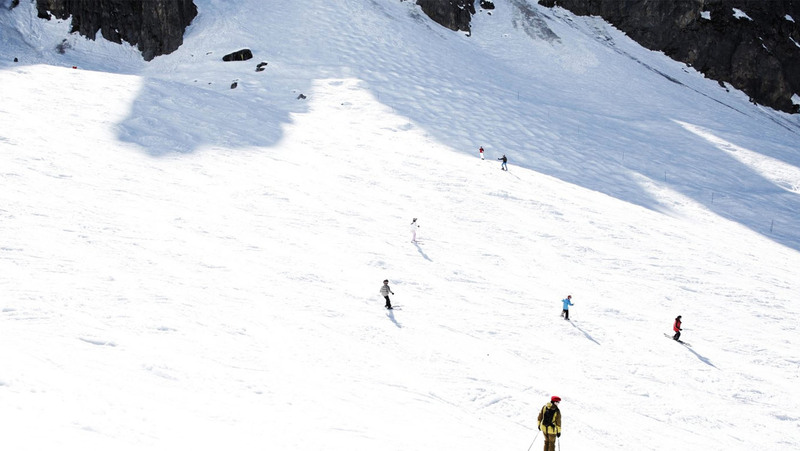 School vacations? 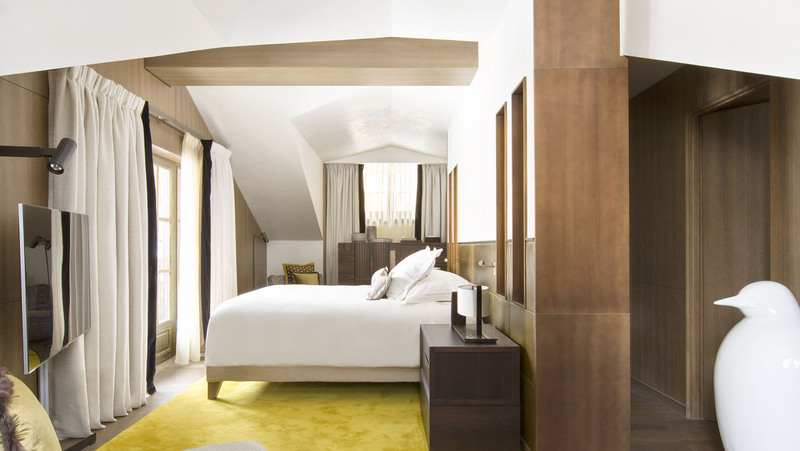 With a loft-style design, the 2 Deluxe Junior Suites of 61 and 75 sqm (660 and 810 sq.ft.) 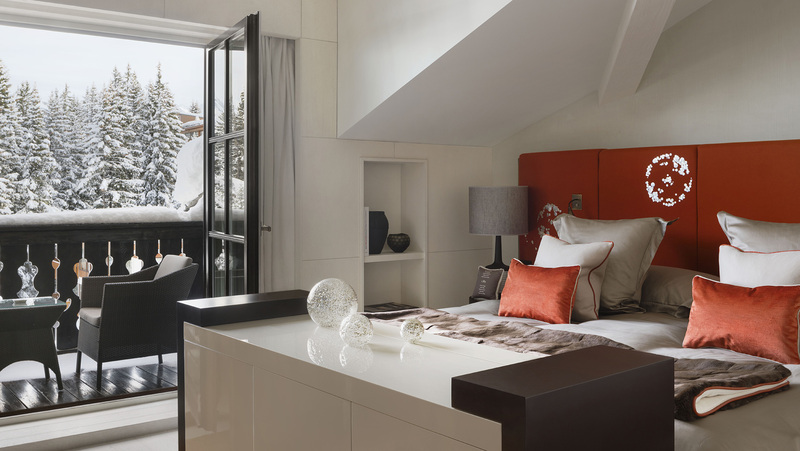 feature an inviting entrance including a coat closet and powder room, a dining room, spacious bedroom and a living room with a balcony opening onto views over the slopes. 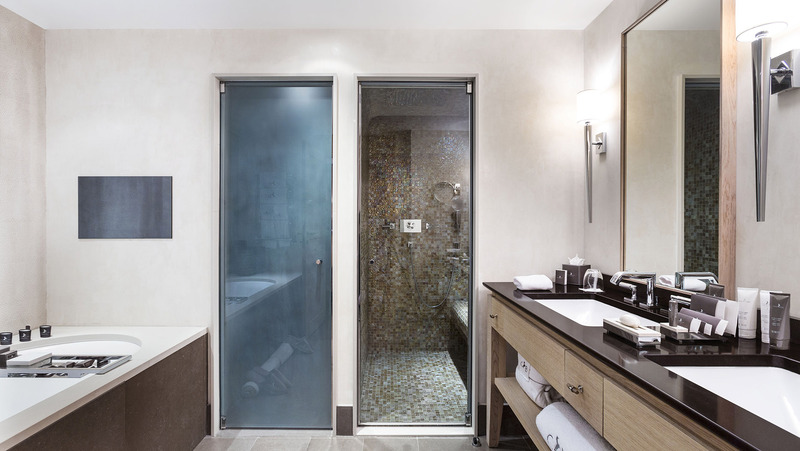 A clever sliding wall separates the living areas from a grand dressing room and adjoining bathroom outfitted with a made-to-measure bathtub, chaise-lounge, steam-shower and a separate toilet room. 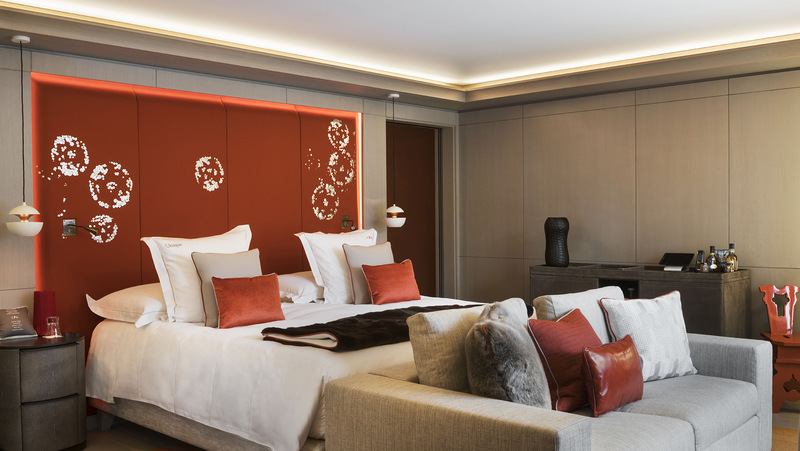 King size bed or twin bed. 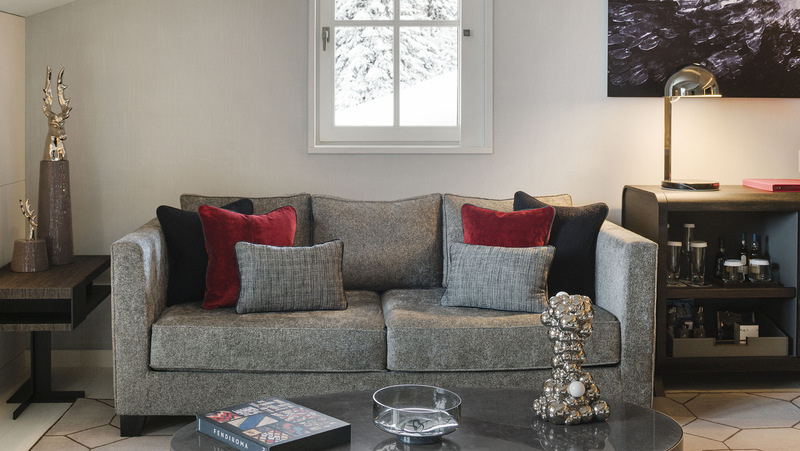 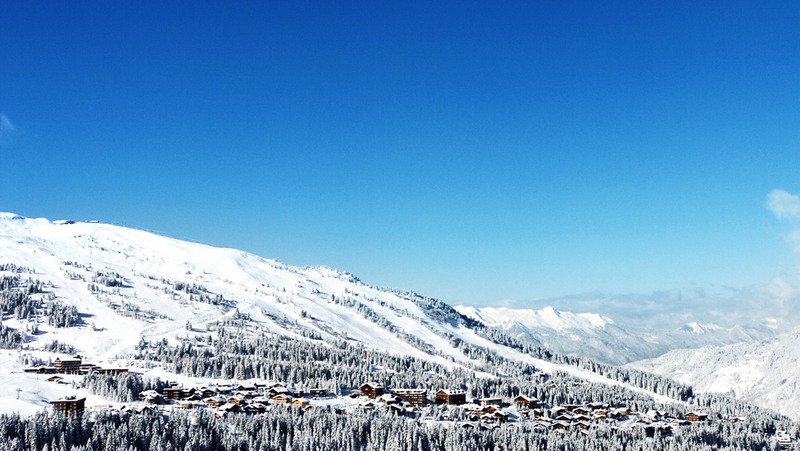 Winter vacations with your friends in Courchevel? 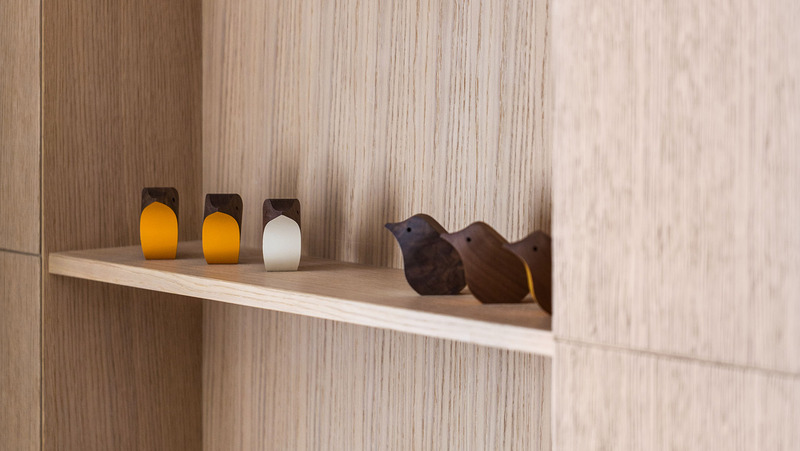 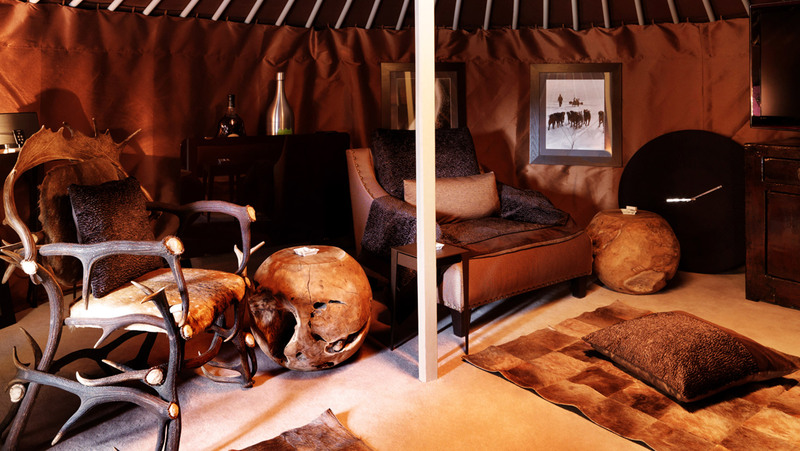 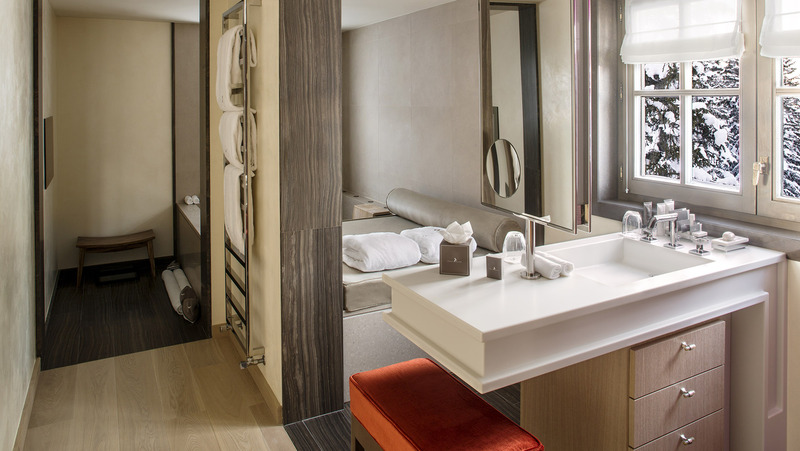 In the 12 Junior Suites from 50 to 62 sqm, living areas, dressing rooms and bathrooms are even more spacious. 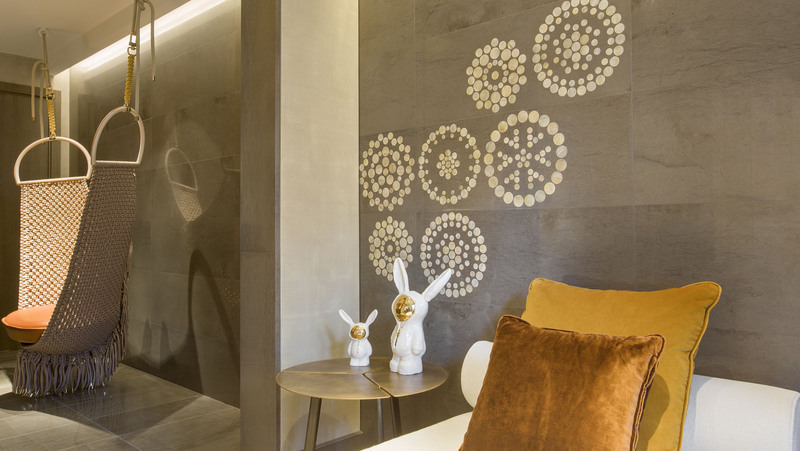 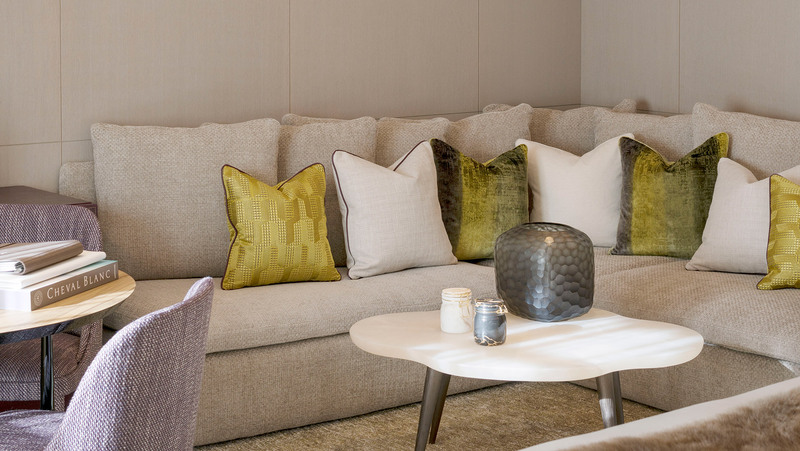 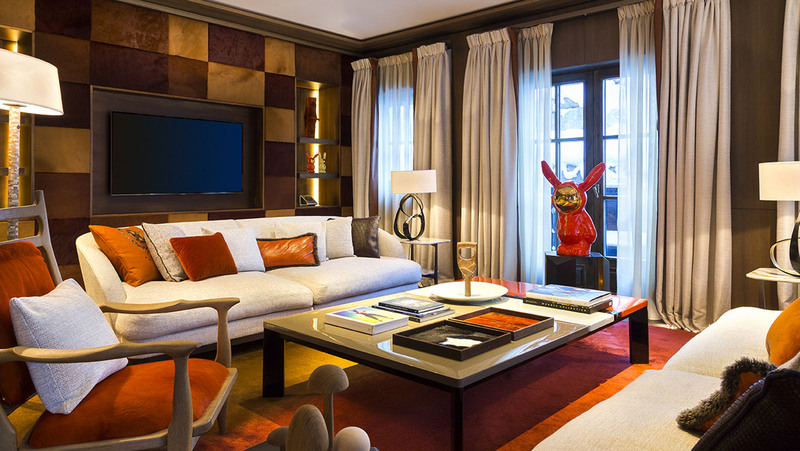 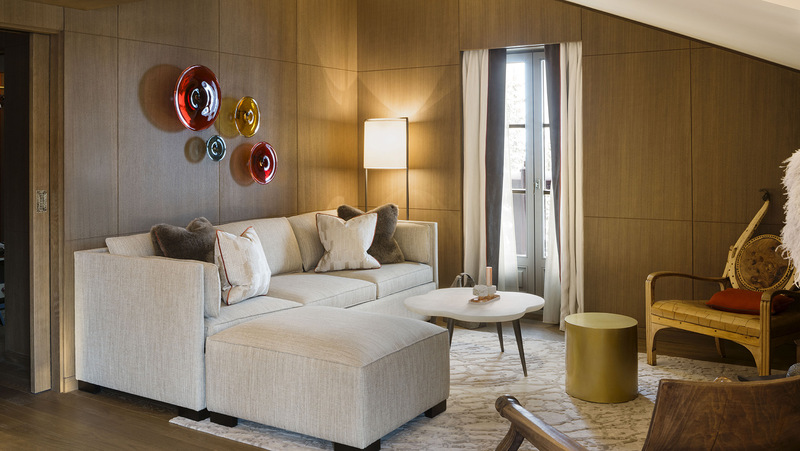 Each suite features a unique element of décor that highlights their individuality. 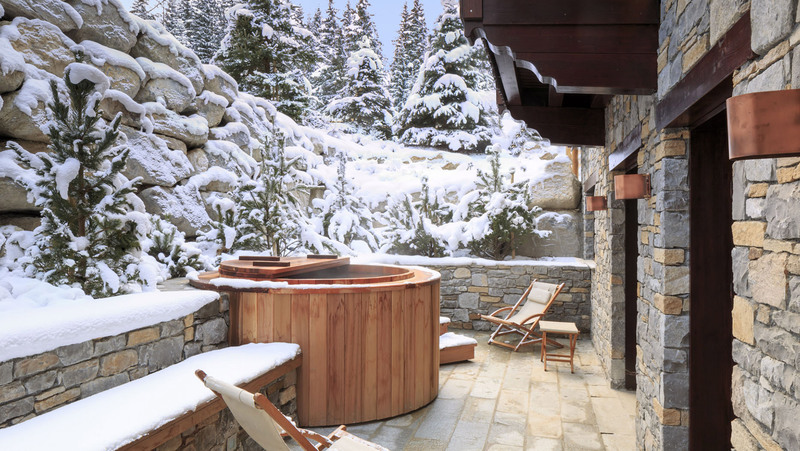 A floatation bath that instills a sense of weightlessness, an authentic sauna to rejuvenate the body after a day out on the slopes, and a vast living area to enjoy a dinner in complete intimacy each punctuate a stay filled with remarkable experiences. 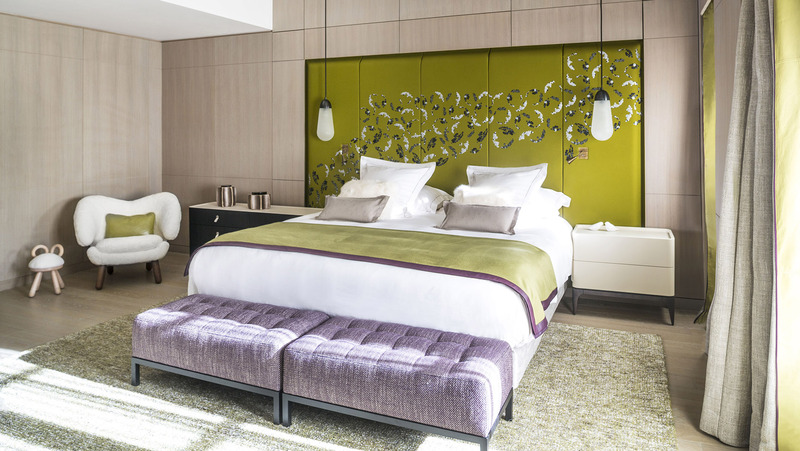 King size bed or twin bed. 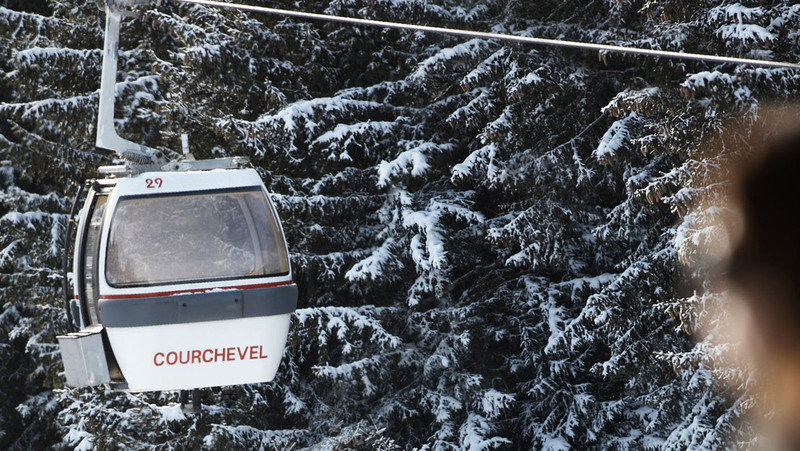 Cinema team to shoot a movie in Couchevel? 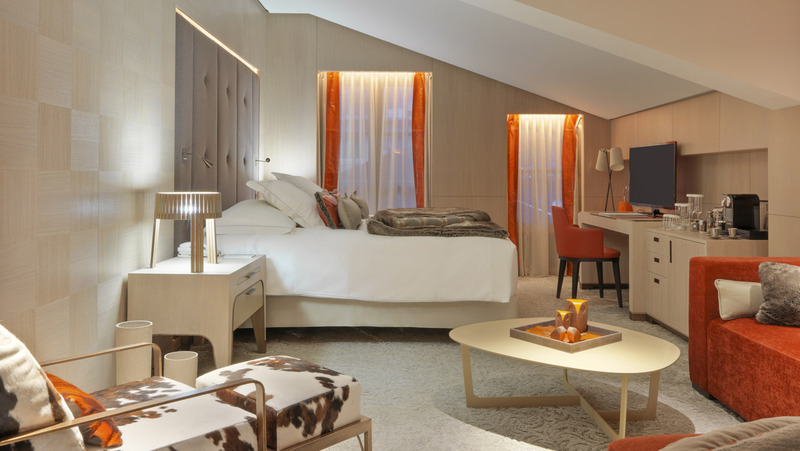 Decorated in shades of lush orange, tempered beige, warm red or deep plum, the Deluxe Superior Rooms offer a luminous environment at the heart of the Alps. 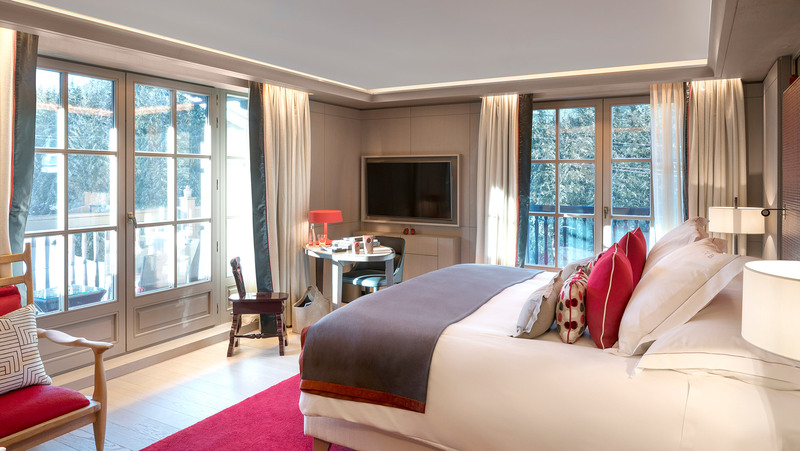 The 11 Deluxe Superior Rooms, from 45 to 48 sqm, benefit from southern exposure, featuring breathtaking views of the Saulire. 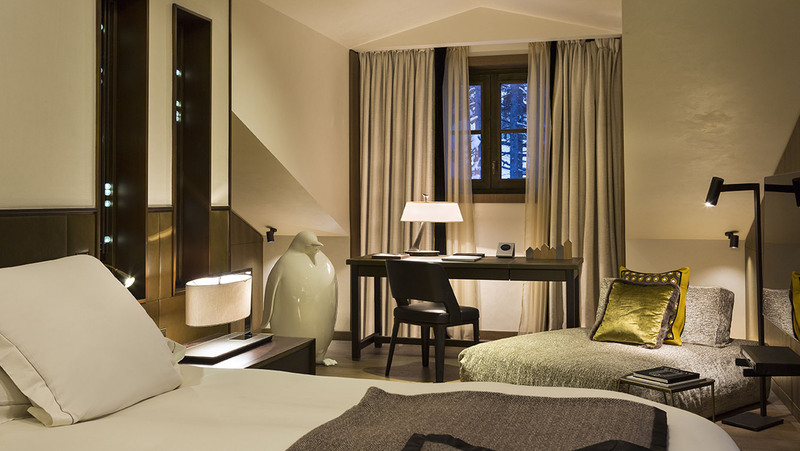 They include a bedroom with a cosy living space, a desk and a private balcony or terrace with beautiful mountain views. 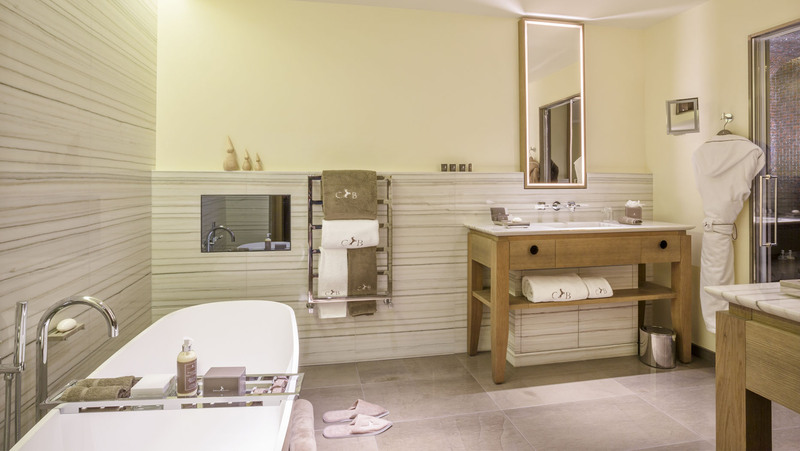 An independent dressing room, bathroom with bathtub and hammam-shower and a separate toilet room complete this warm hideaway. 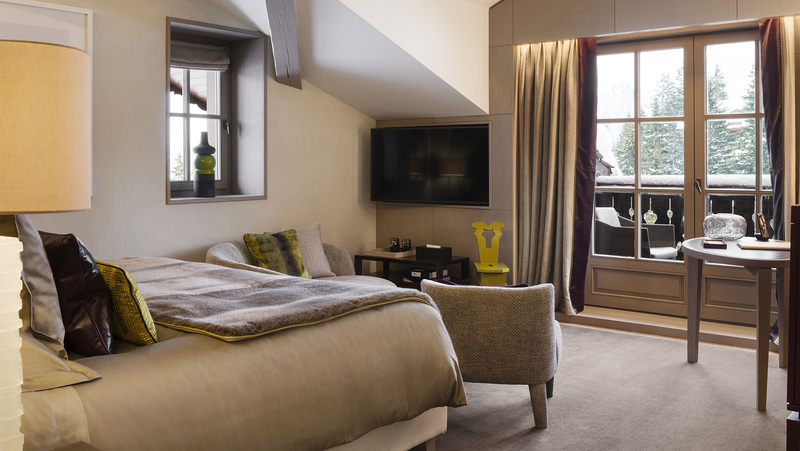 The Maison also offers you connecting rooms, ideal for your family and friend holidays, as well as multiple limited mobility accessible rooms. 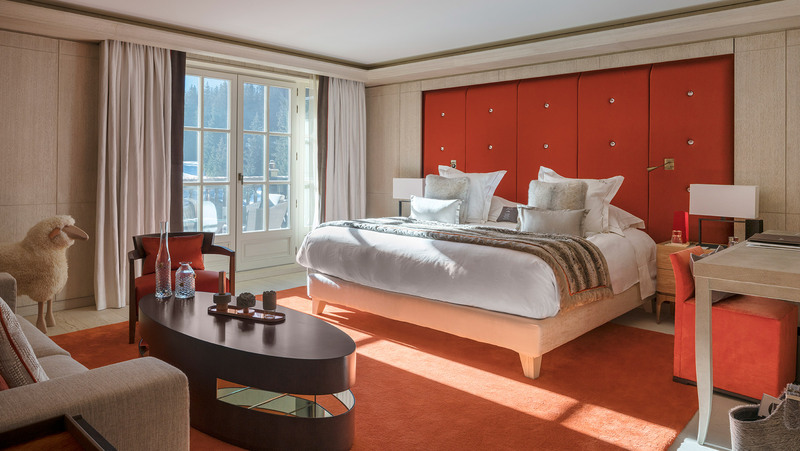 King size bed or twin bed. 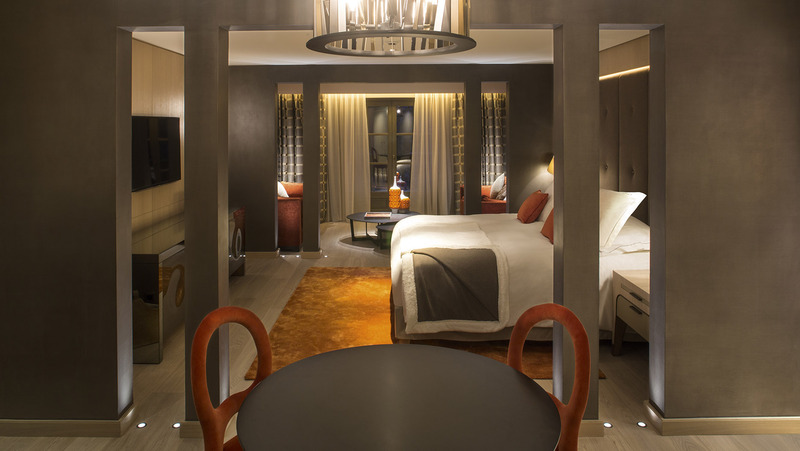 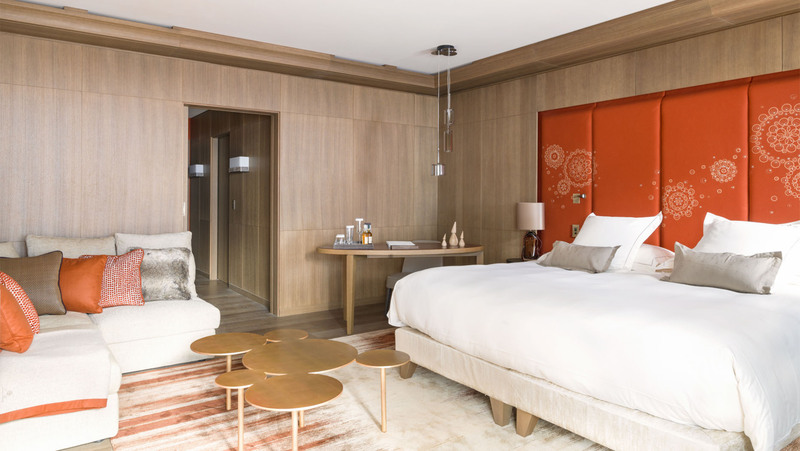 Decorated in shades of orange, chocolate brown or fresh green, the Superior Rooms offer you a warm and contemporary atmosphere. 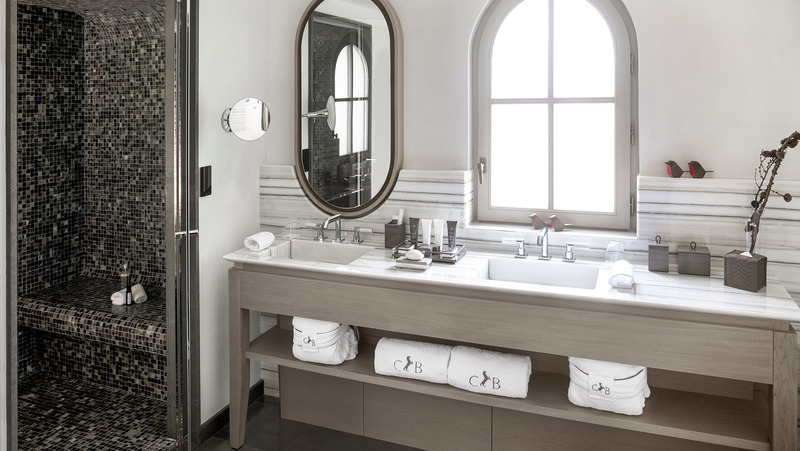 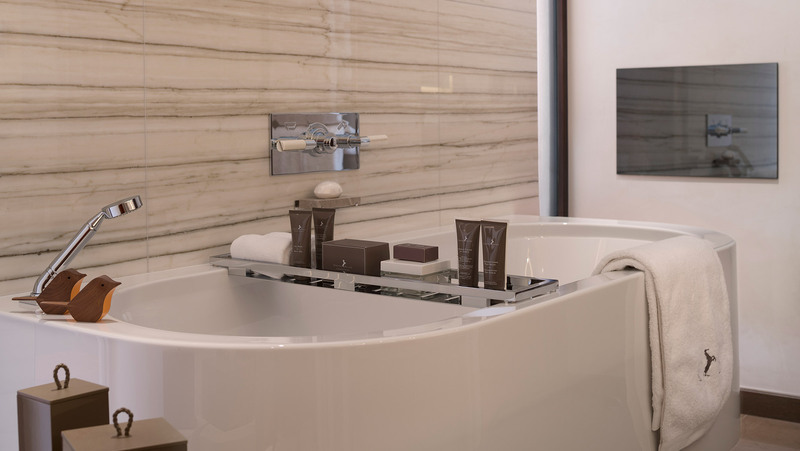 The 6 Superior Rooms, from 40 to 42 sqm, offer a bathroom with a bathtub and a hammam-shower with chromotherapy, a dressing room and a separate vanity. 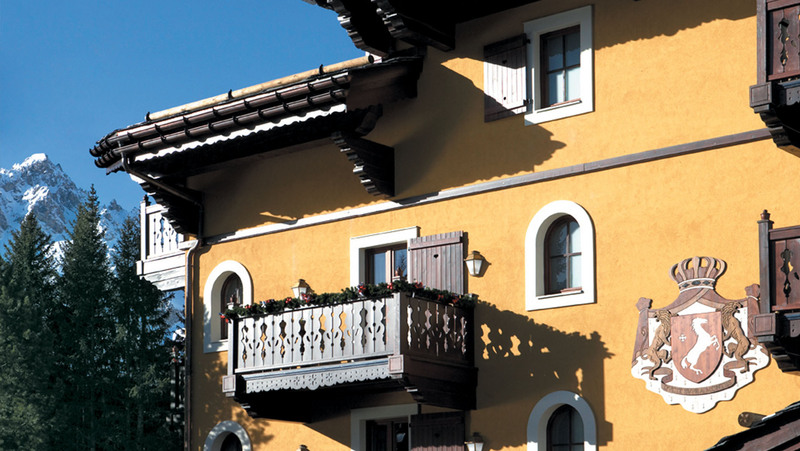 According to their direction of exposure, you may also have a terrace or sun-bathed balcony. 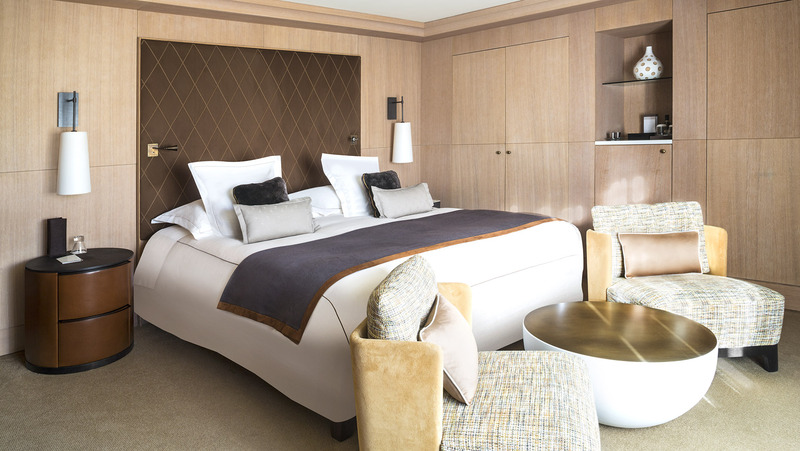 King size bed or twin bed. 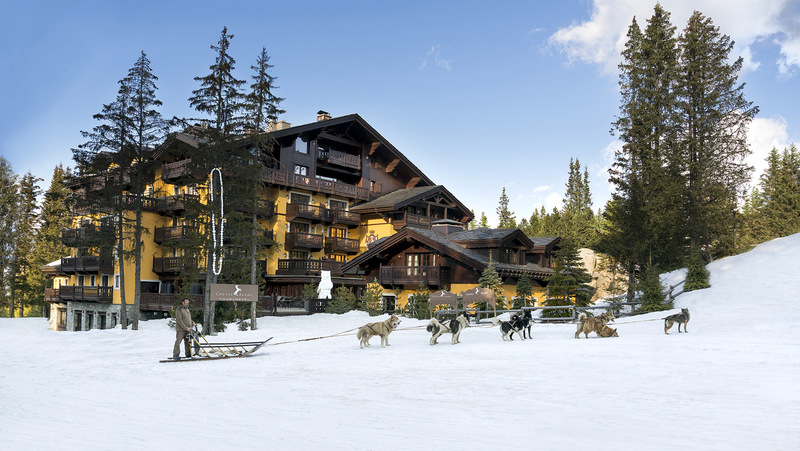 Wolf hunger after the ski? 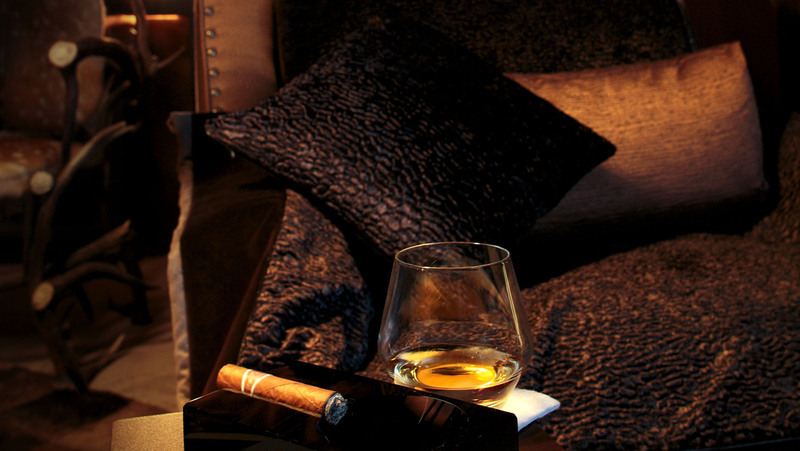 Enjoy the finer things in life? 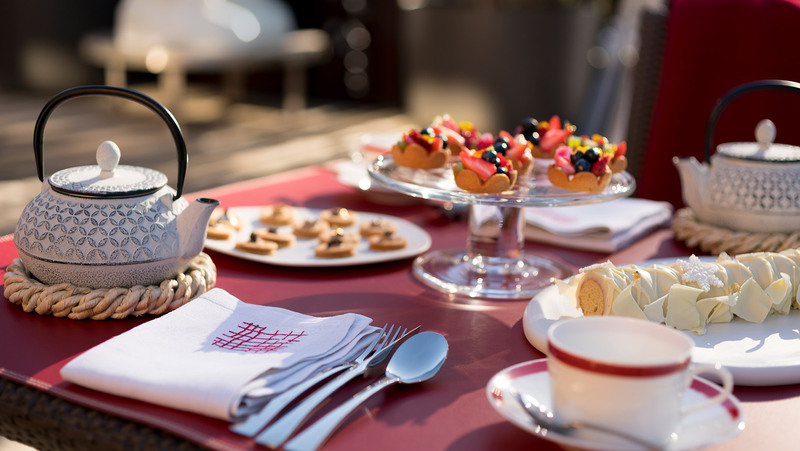 It would not be French vacations, without the delicious fresh food! 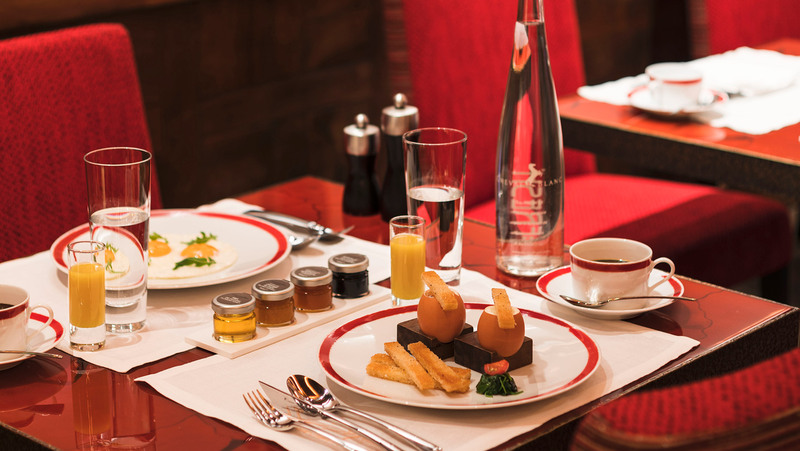 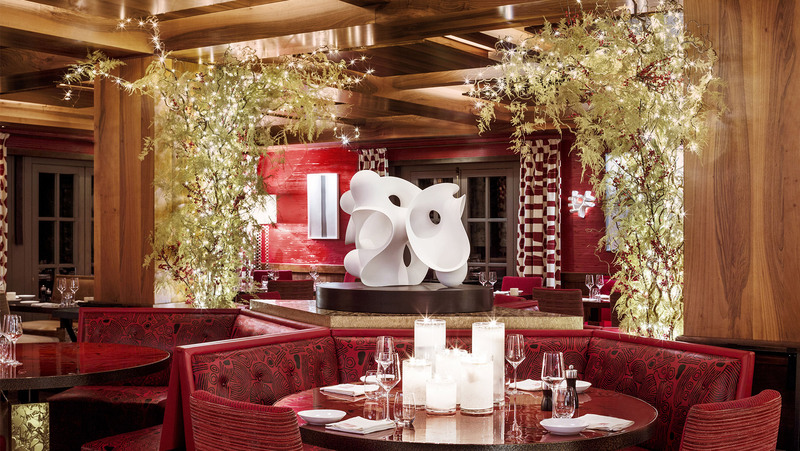 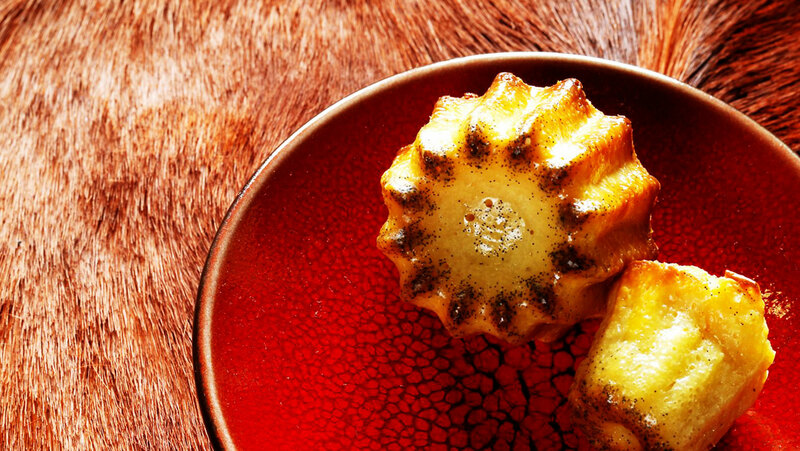 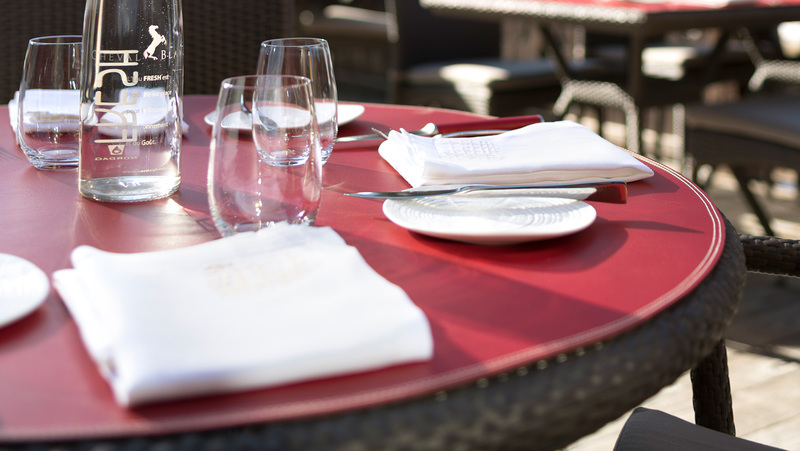 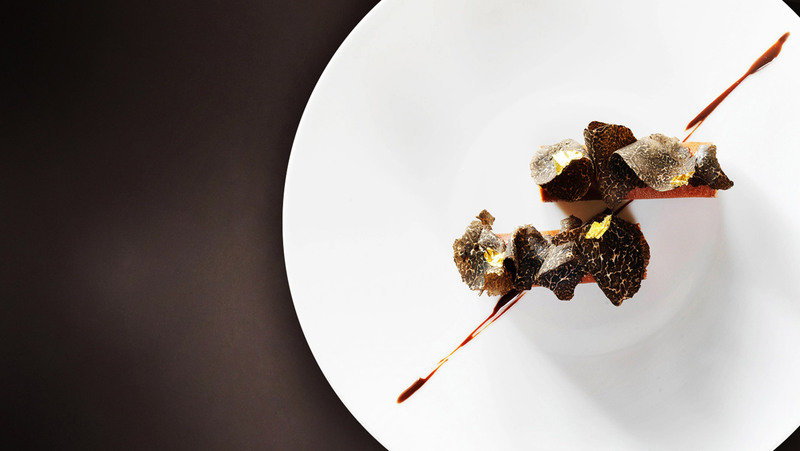 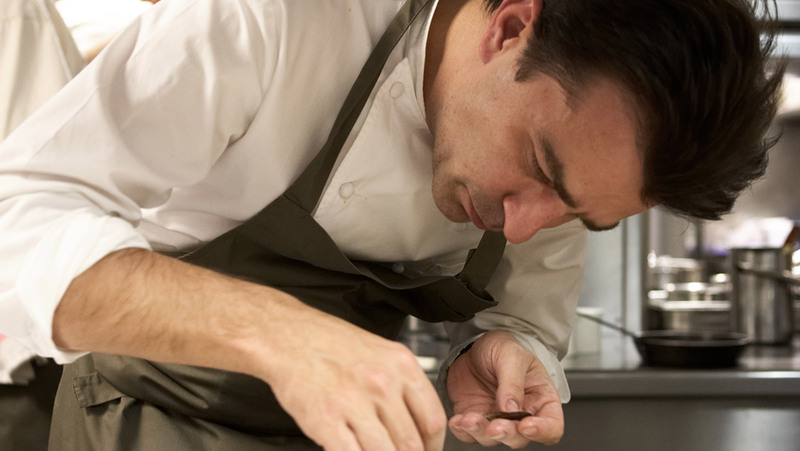 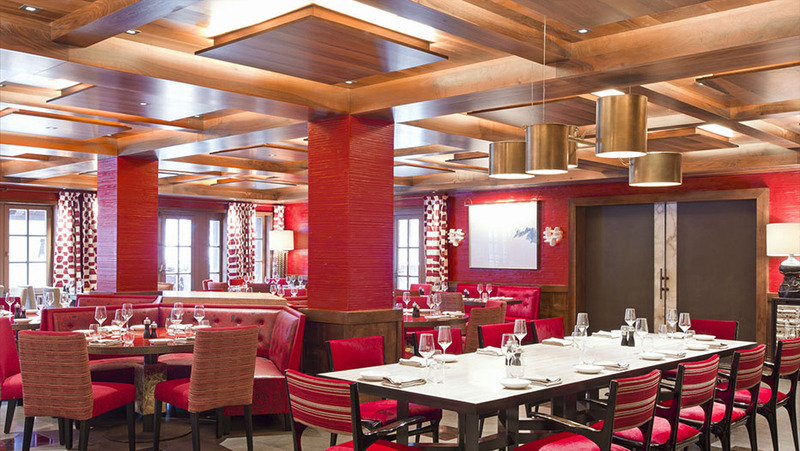 With 5 restaurants/bars to choose from each day, experience the culinary arts from France at their best! 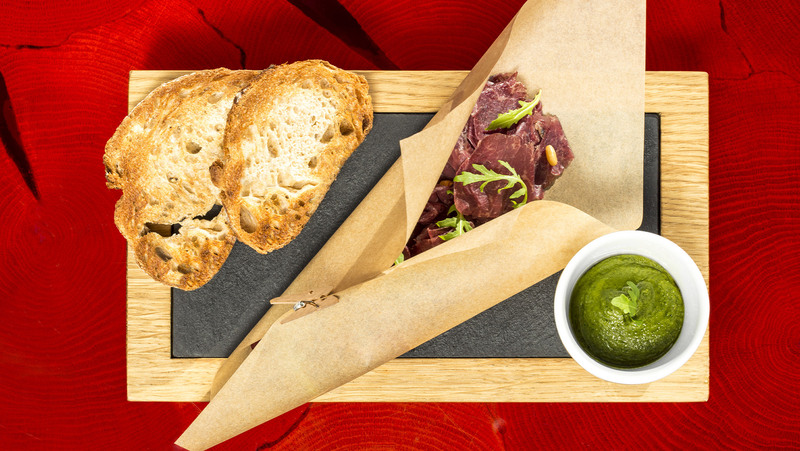 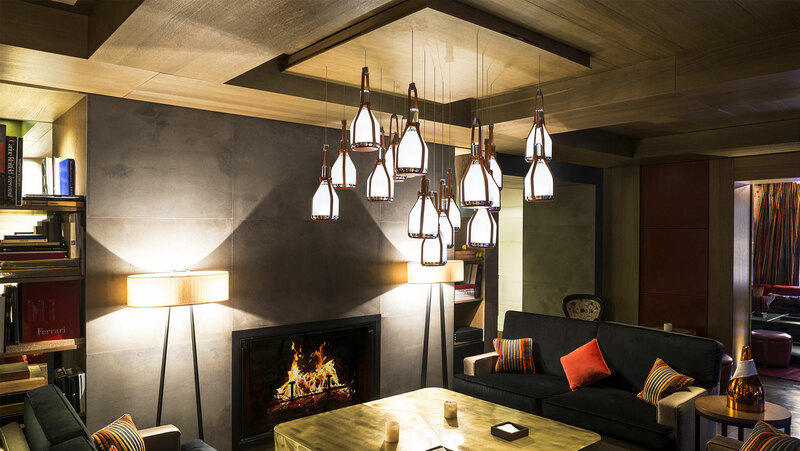 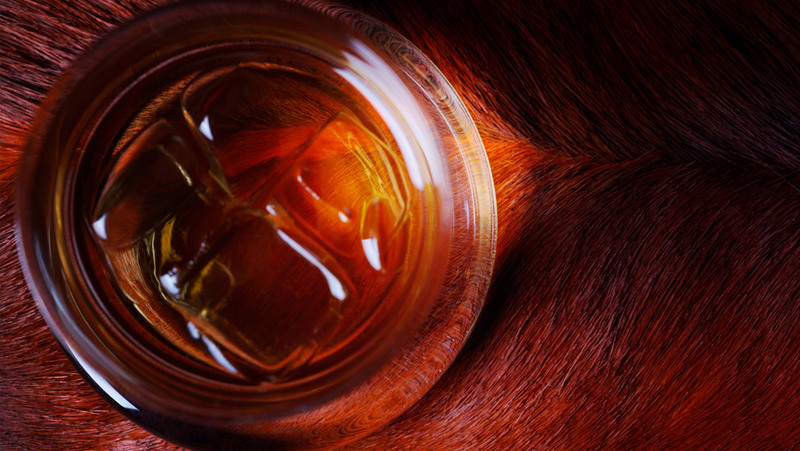 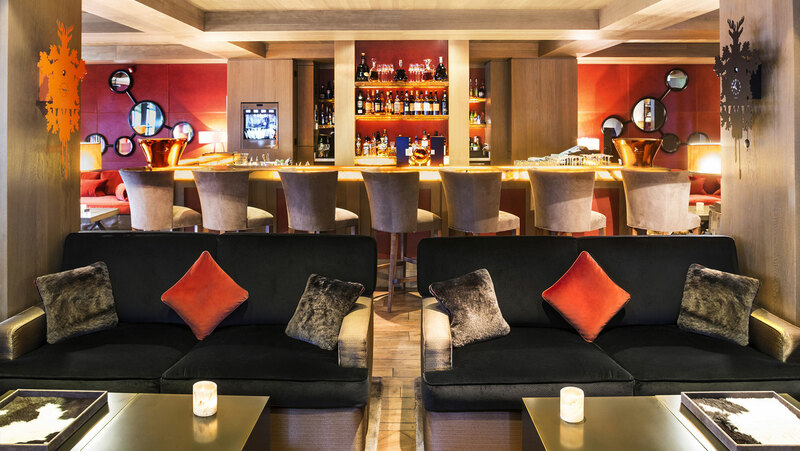 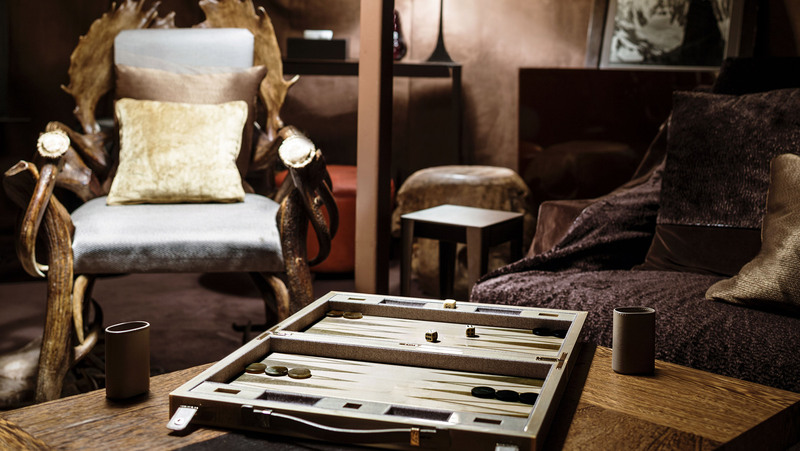 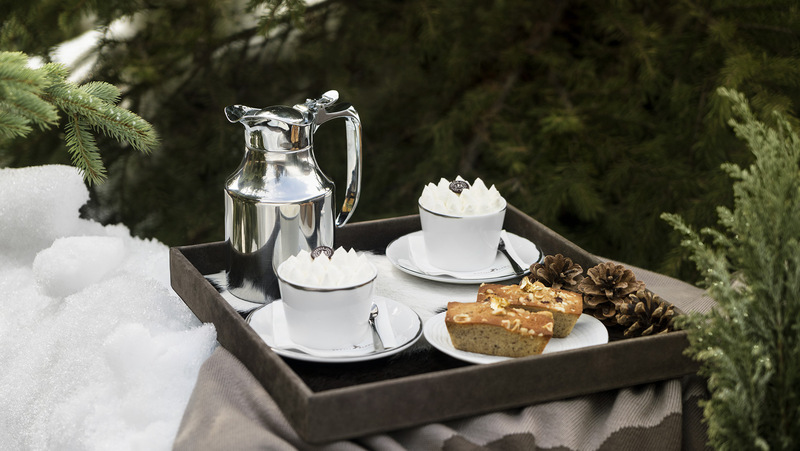 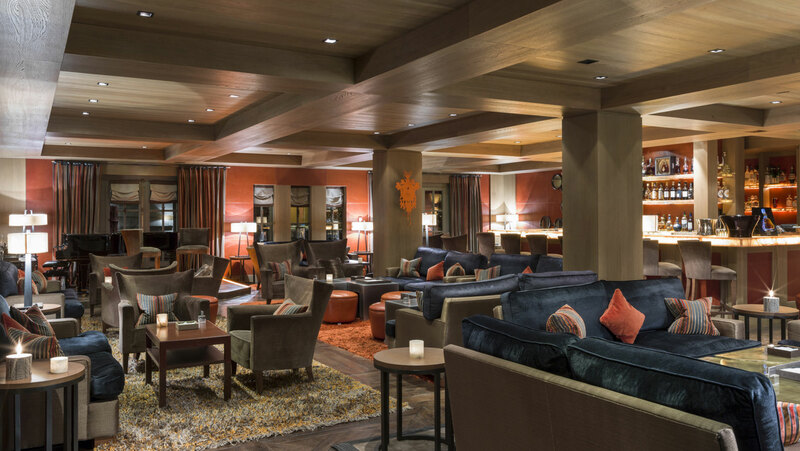 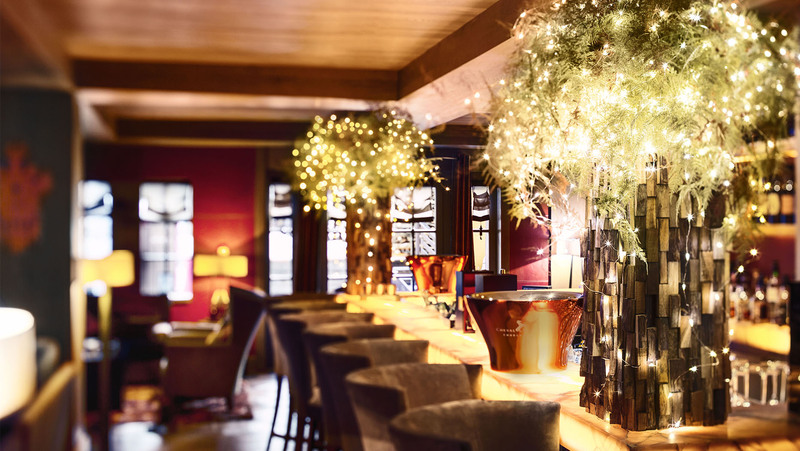 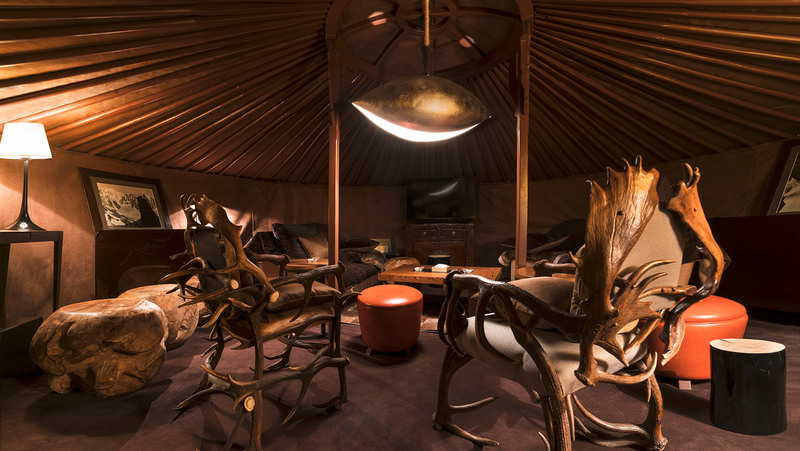 Either you want to replenish your energy at Le 1947 at Cheval Blanc Courchevel, La Table de Partage, Le Triptyque, Le Bar, or the Cigar Yurt, you will always have pleasure at le Cheval Blanc Courchevel! 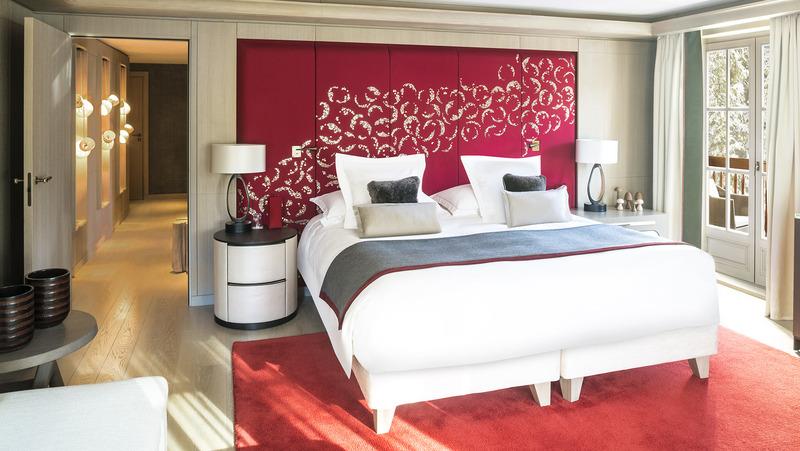 Sore after a long voyage? 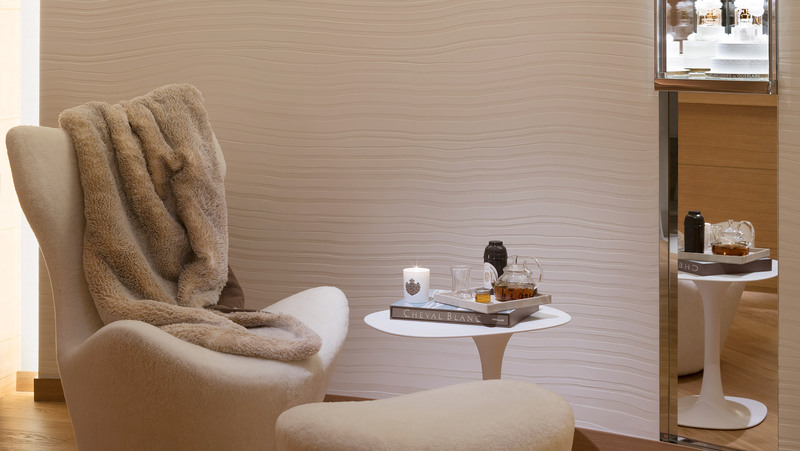 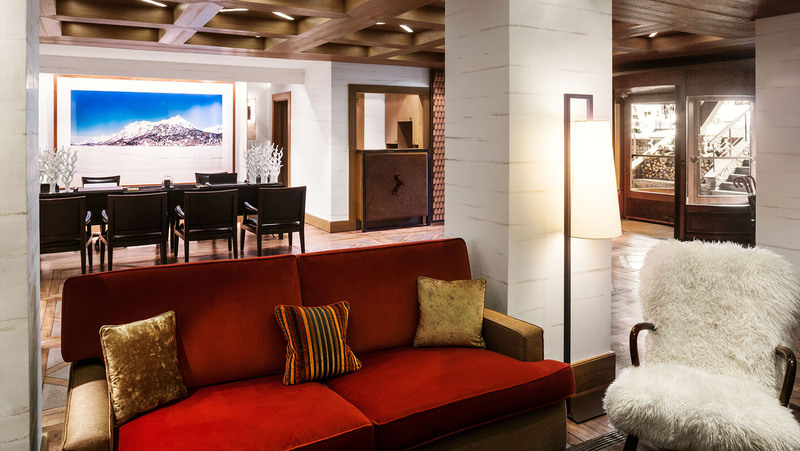 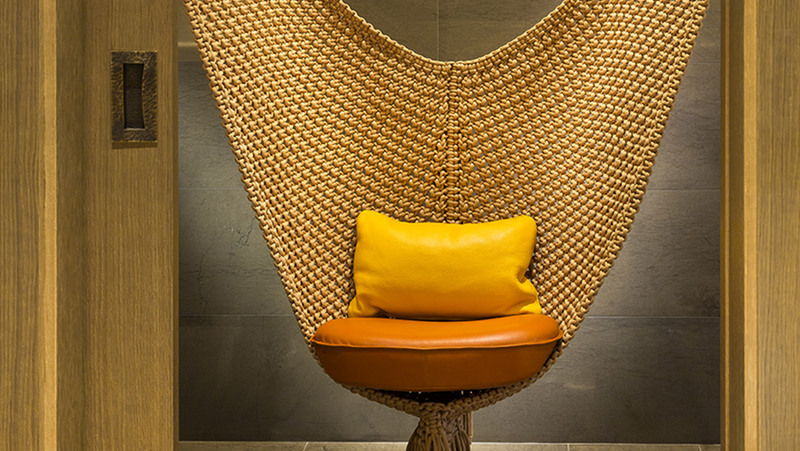 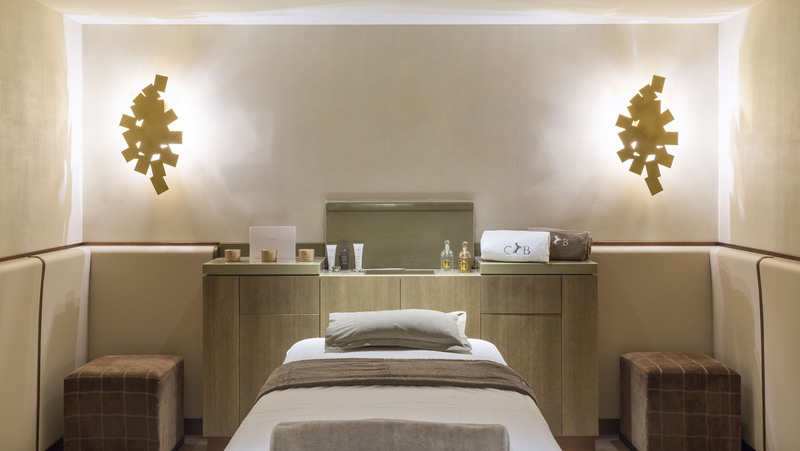 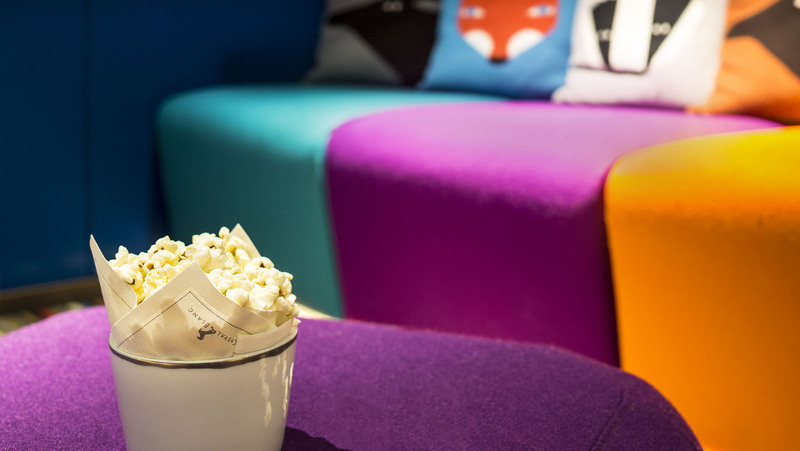 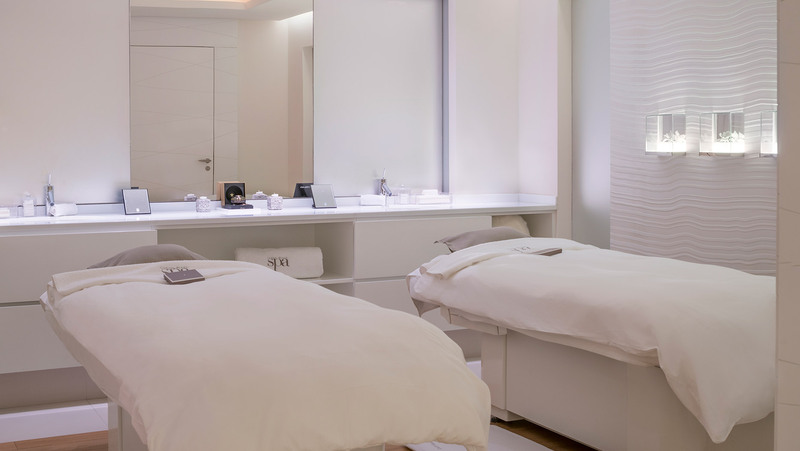 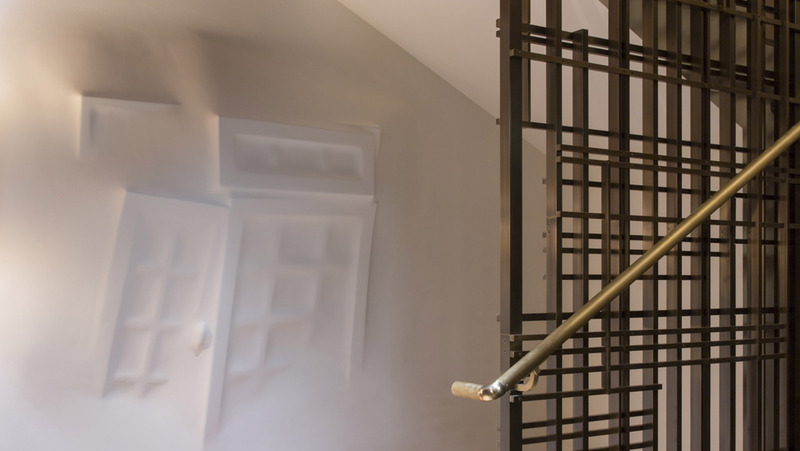 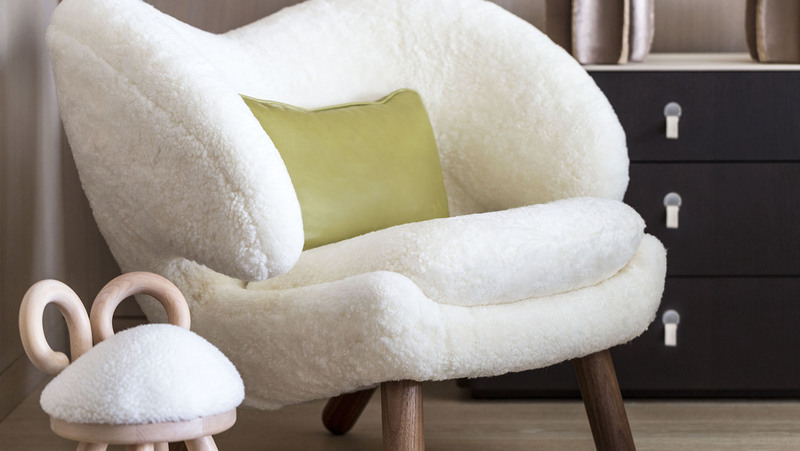 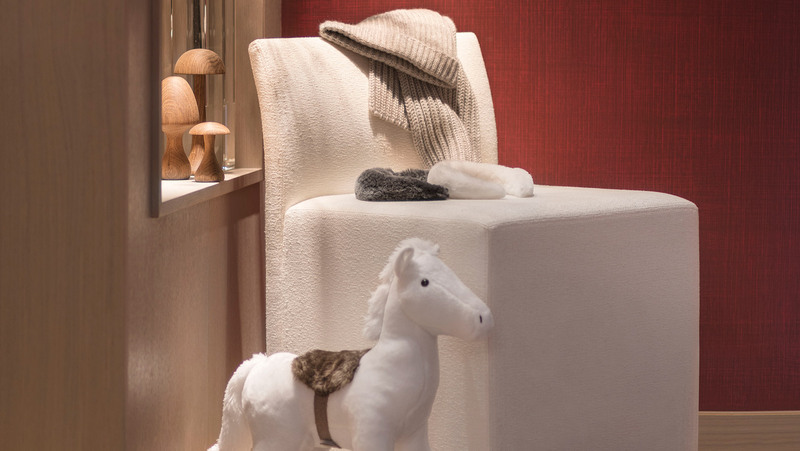 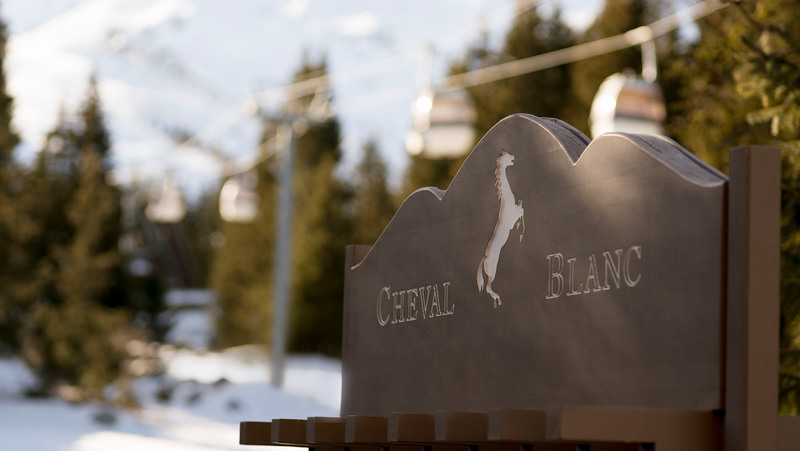 Start your stay at le Cheval Blanc Spa before going on the slopes. 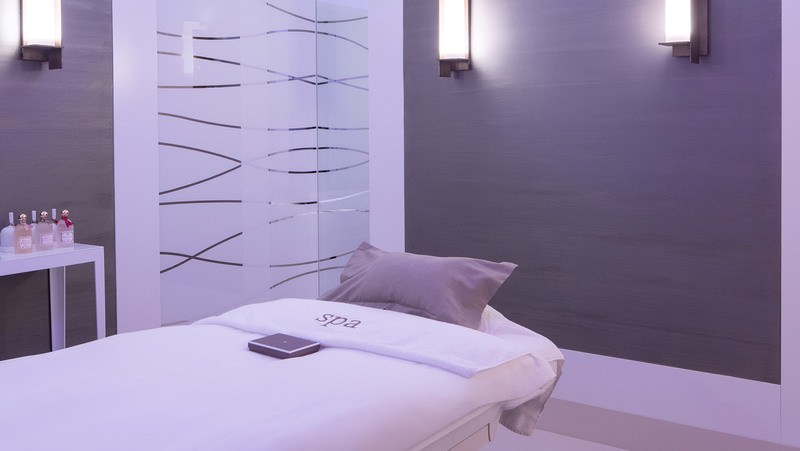 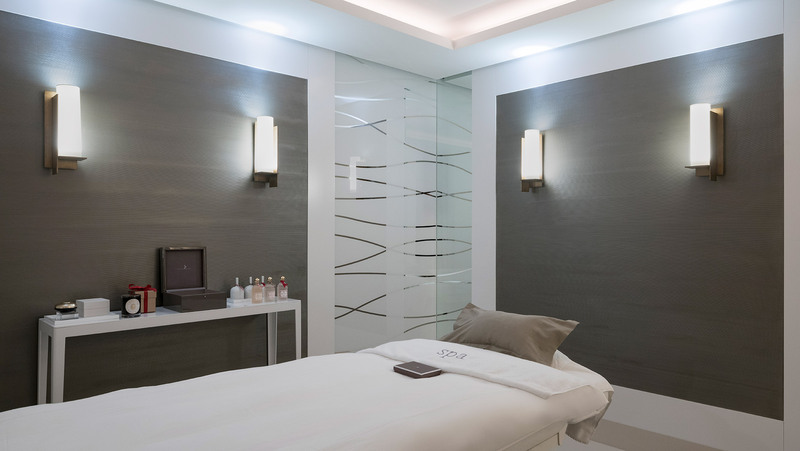 Inviting you to embark upon an unparalleled sensorial journey that pampers your body and mind, you will feel amazing after a treatment or massage. 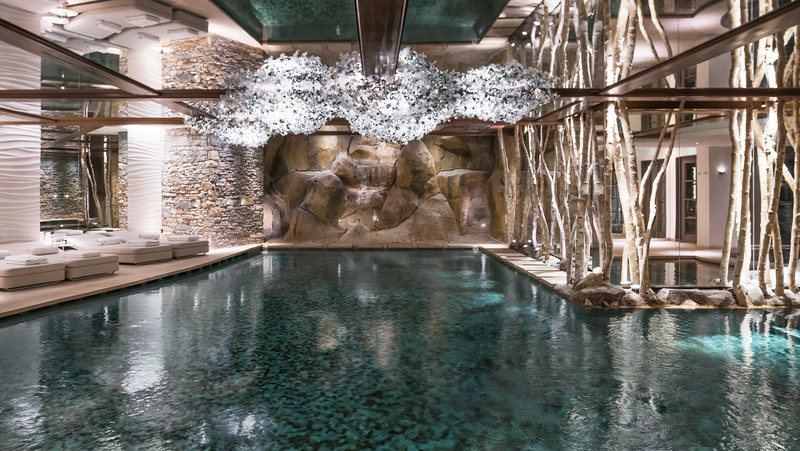 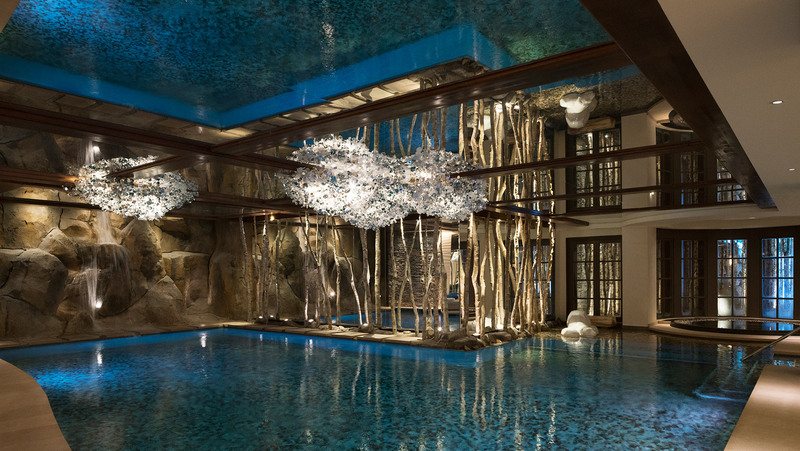 In addition to delightful moments of comfort offered by the Spa’s signature treatments, a stunning infinity-edge pool and adjoining Jacuzzi invite you to relish in a moment of relaxation or even practice a session of aquabiking. 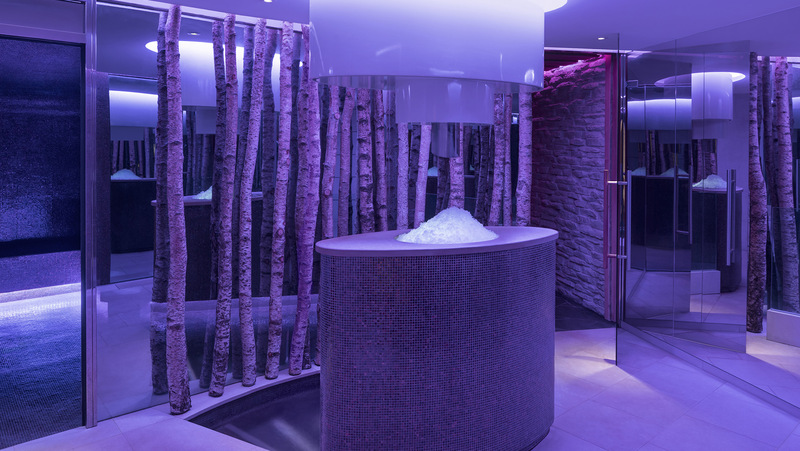 For a complete regeneration of the body and spirit, water is presented in every state – from a cold plunge bath, to an interlude in the sauna or hammam and a final rinse in the experience shower. 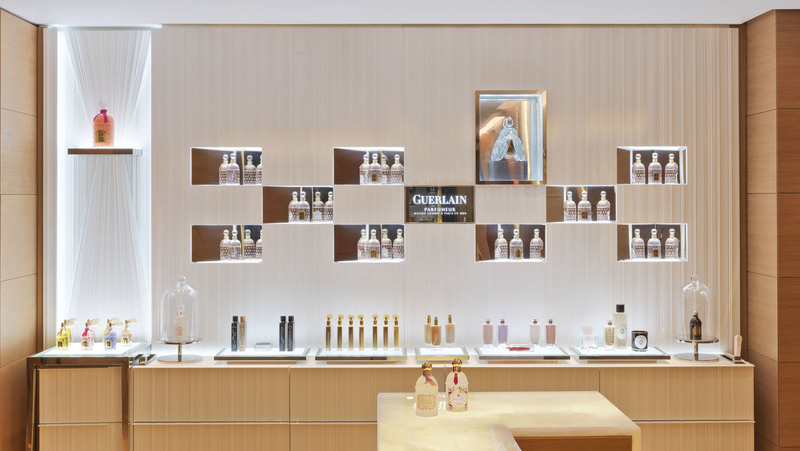 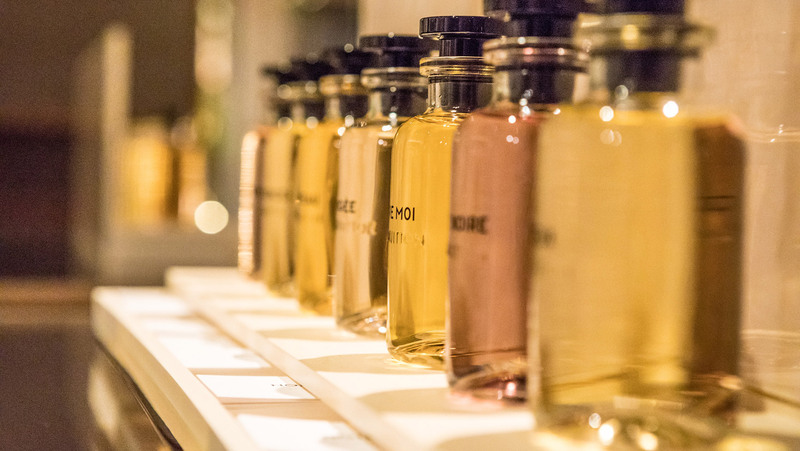 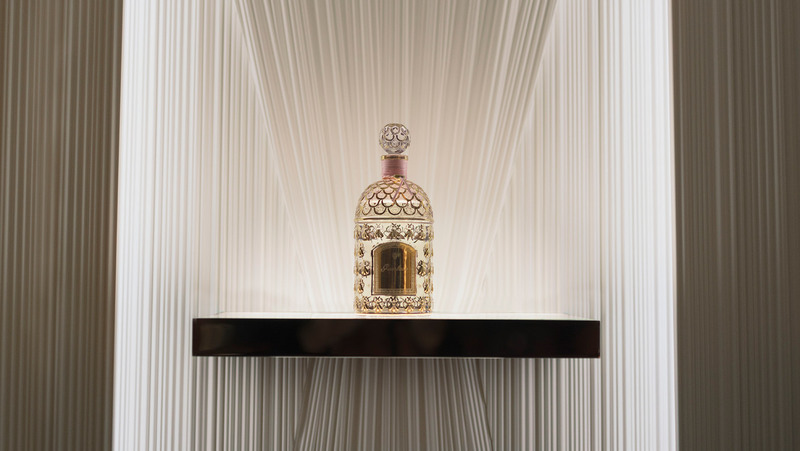 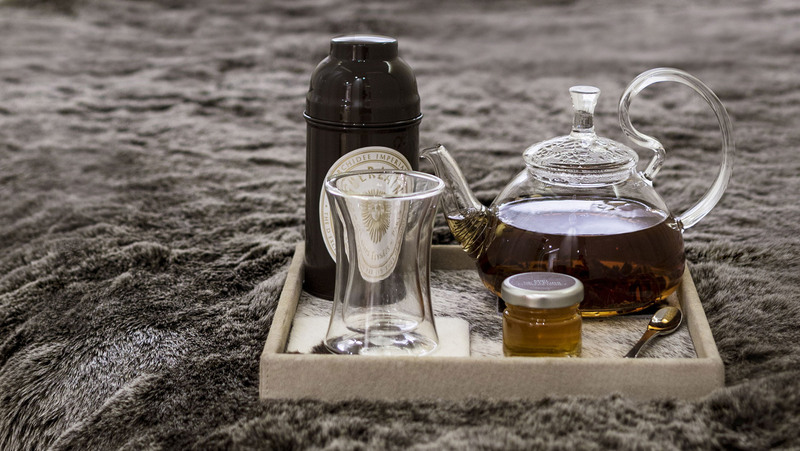 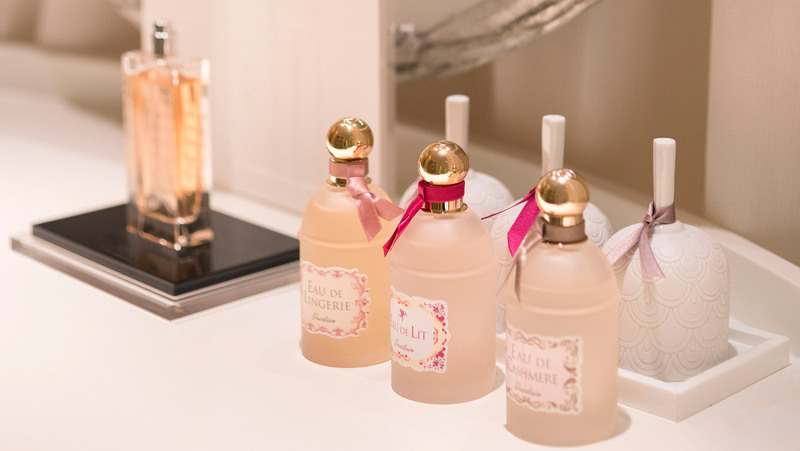 To complete this day of relaxation in true style, an exclusive collection of Guerlain teas and cocktails inspired by the brand’s mythical fragrances, invite guests to delight in a unique sensorial experience. 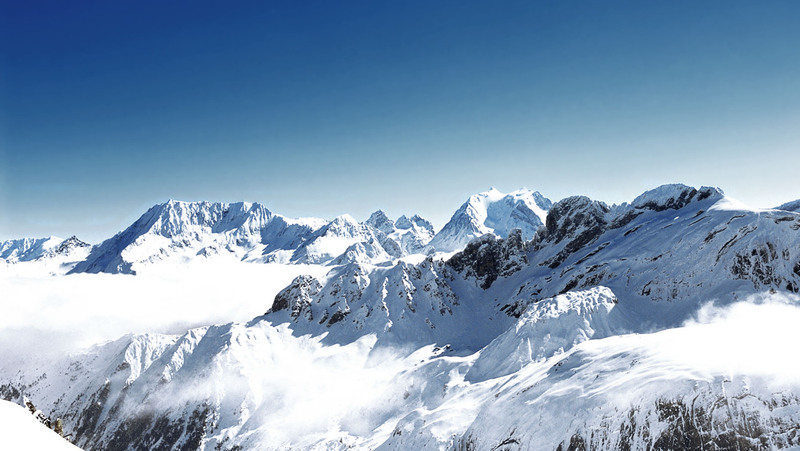 A fitness centre also offers you the ability to train or recover after a day out on the slopes thanks to cutting-edge Technogym equipment. 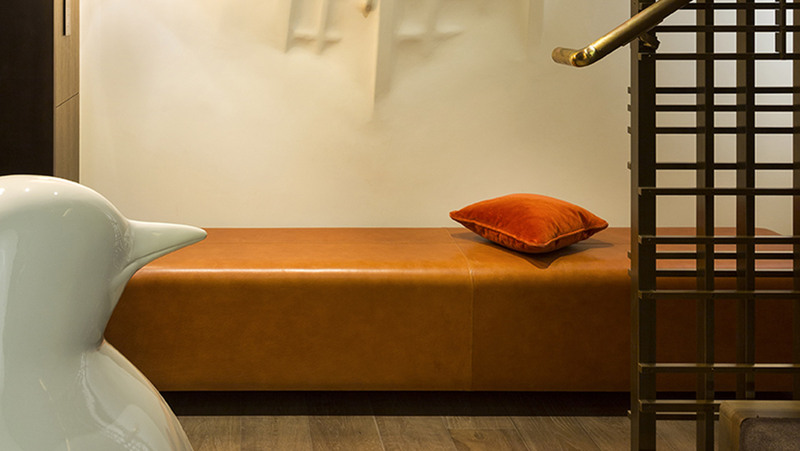 Want to keep your yearly boxing, stretching or yoga routines? 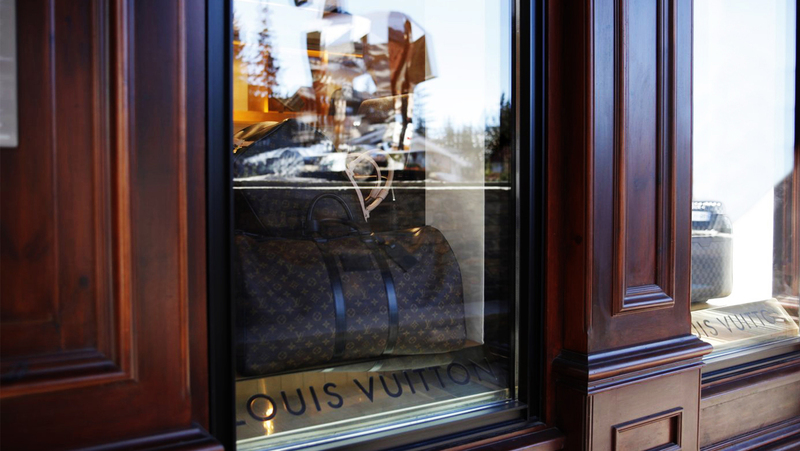 A personal coach will be happy to help you. 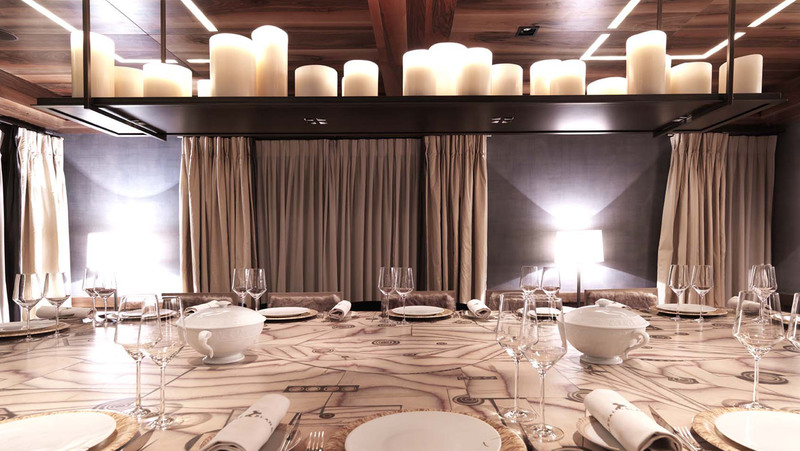 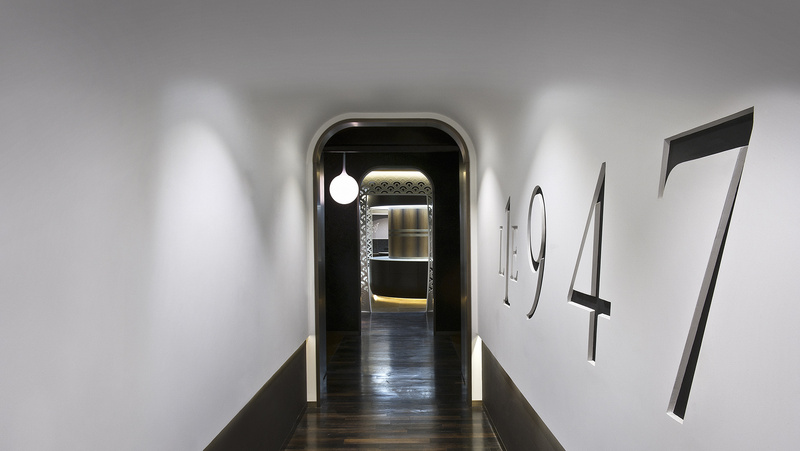 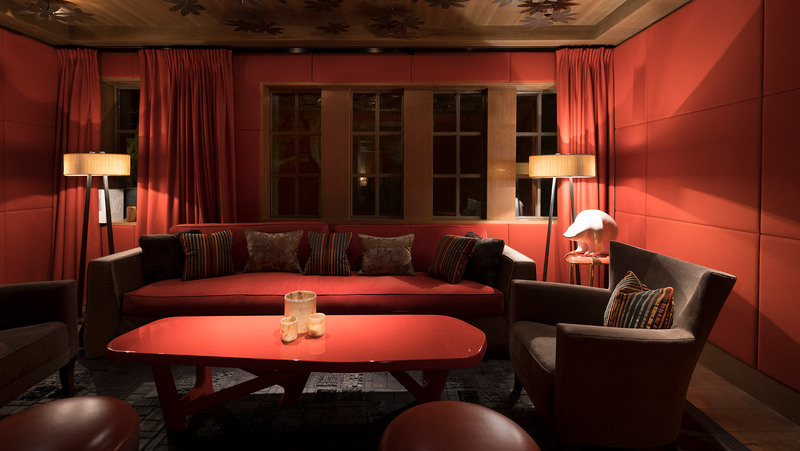 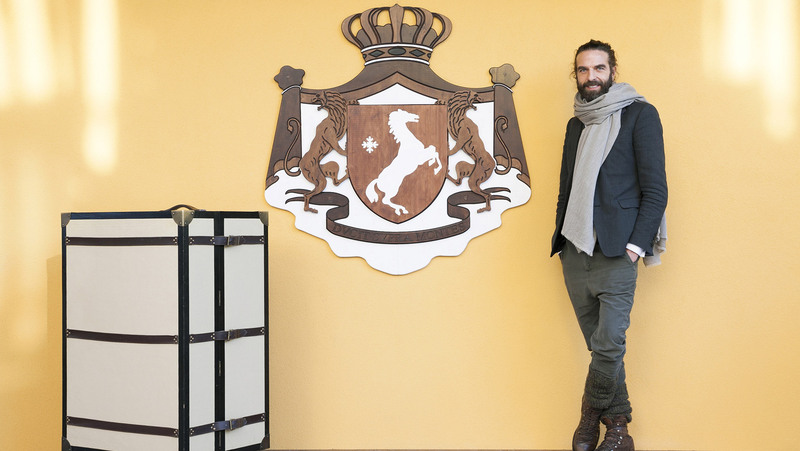 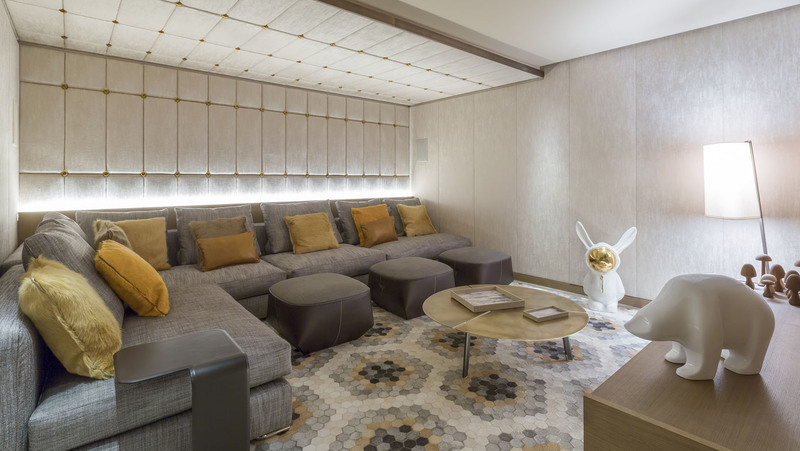 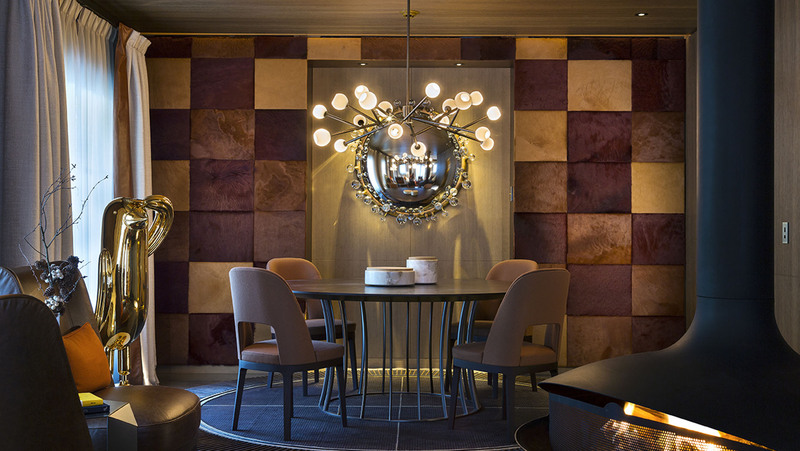 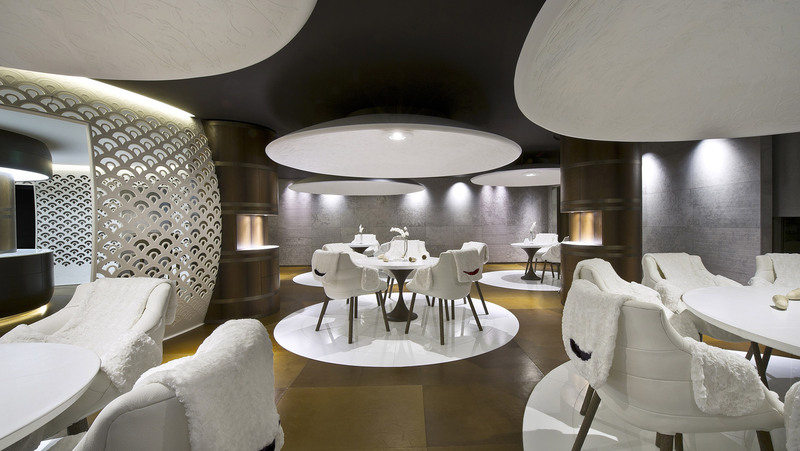 Cheval Blanc Courchevel hosts the highly-acclaimed Parisian hair stylist John Nollet, an expert in film and high-fashion media, in a new salon inspired by old steamer trunks. 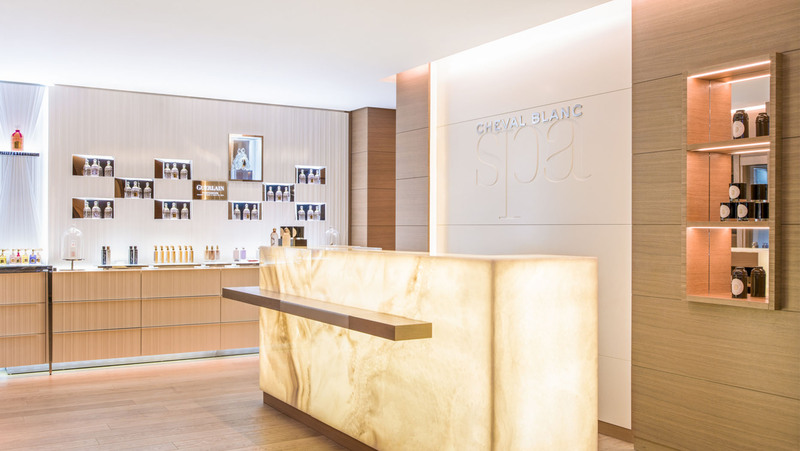 Book your appointment now! 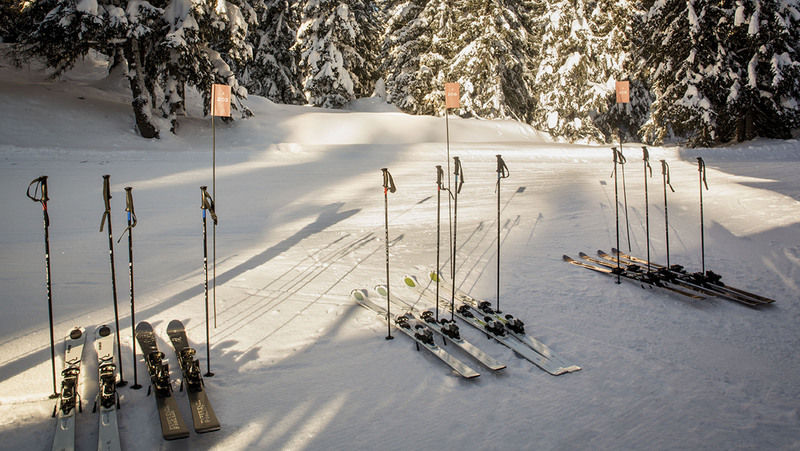 Every morning, the Ski Service team prepares each guest’s equipment before placing it directly on the slopes, including pre-heating ski boots. 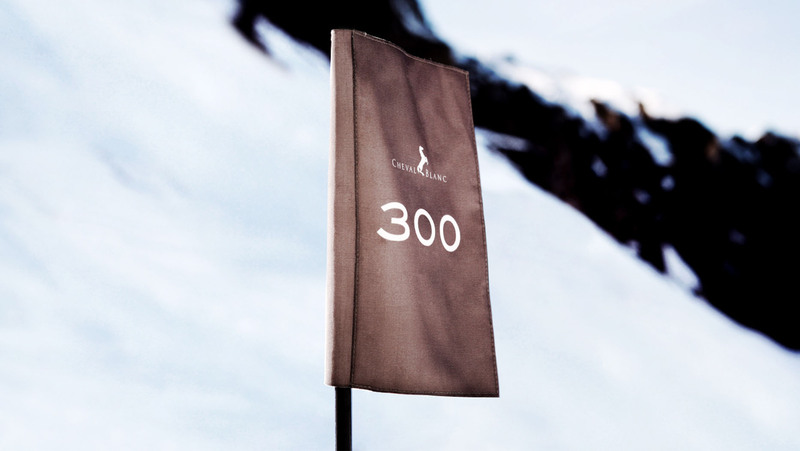 A dedicated flag per guest room is planted next to ski equipment ready to be donned. 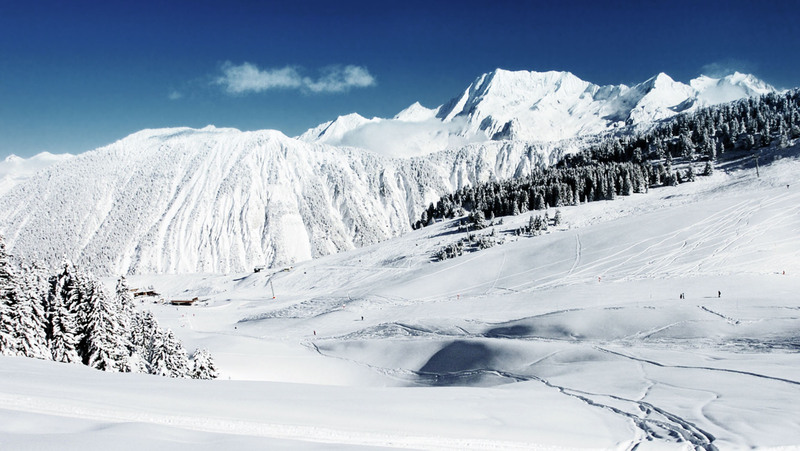 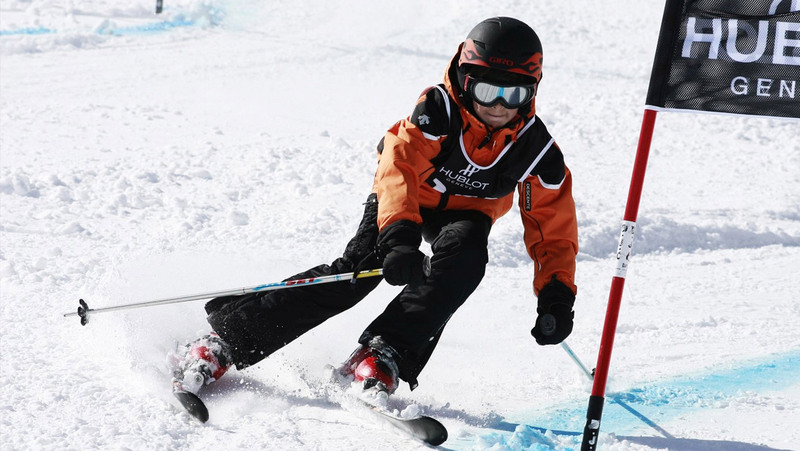 In addition, the Ski Service team delights skiers with a myriad of little attentions: a map of ski runs, sweet treats or even miniature heaters. 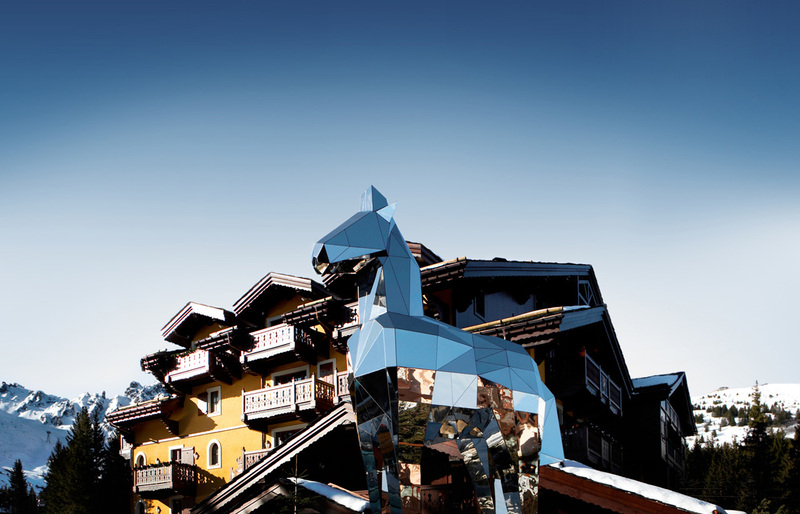 Following a day in the life of a champion, Cheval Blanc Courchevel invites you to rediscover the art of skiing: training with a private coach to prepare for a day on the slopes, an appointment at the spa to rejuvenate you after strenuous activity or an indulgent gourmet break with a cup of hot chocolate served at the base of the slopes. 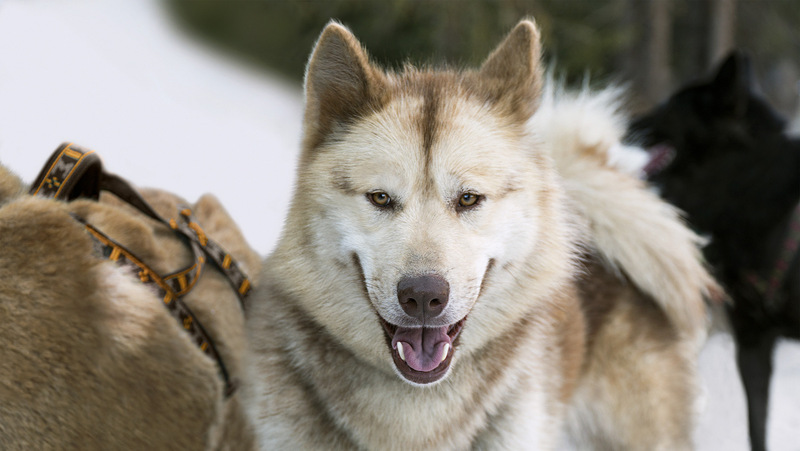 Alongside the pleasure of skiing, several unmissable activities showcase the snowy landscapes of Courchevel such as an unforgettable sled-dog excursion throughout the snow-covered scenery. 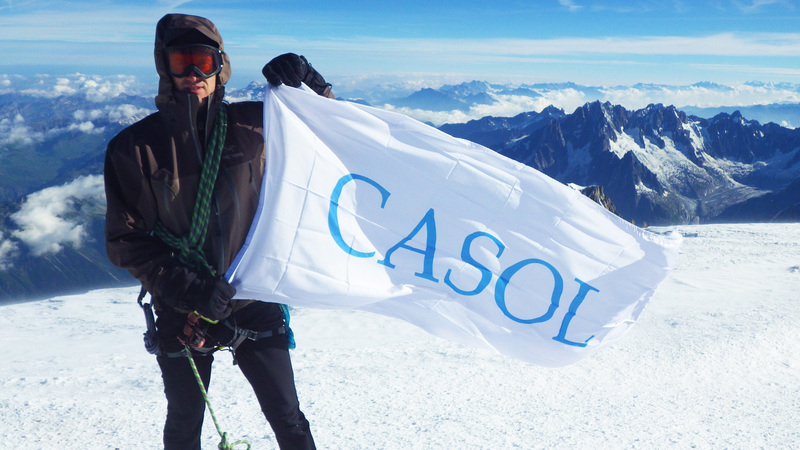 Contact Casol to live those experiences. 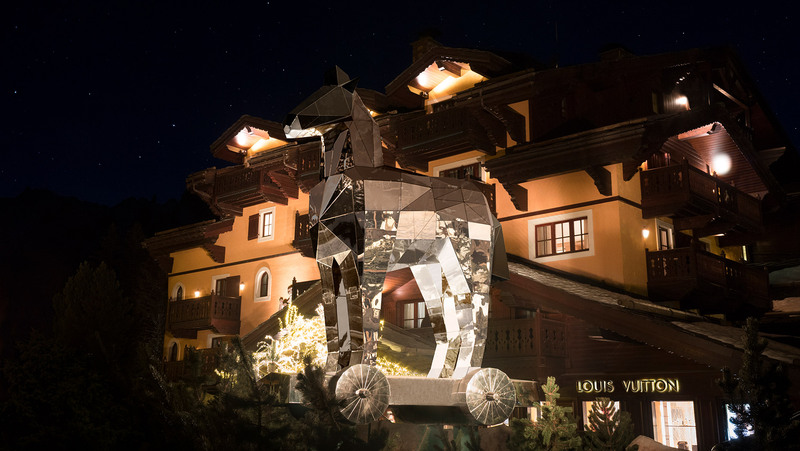 The most famed LVMH Houses collaborate with Cheval Blanc Courchevel for a series of exclusive events – each a behind-the-scenes snapshot by invitation-only. 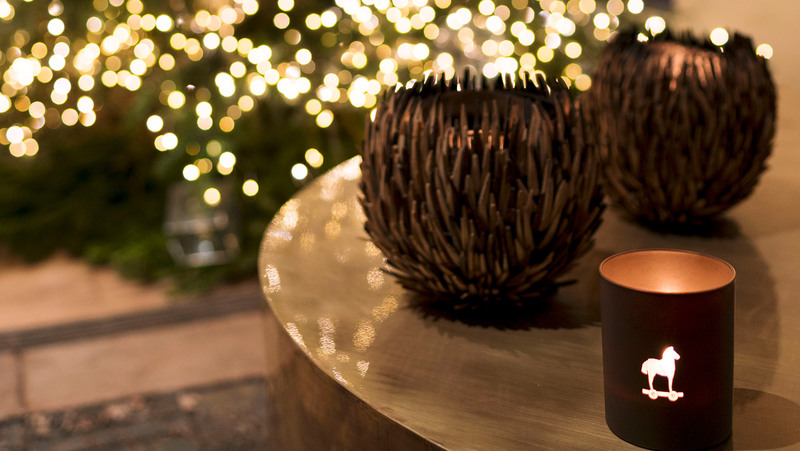 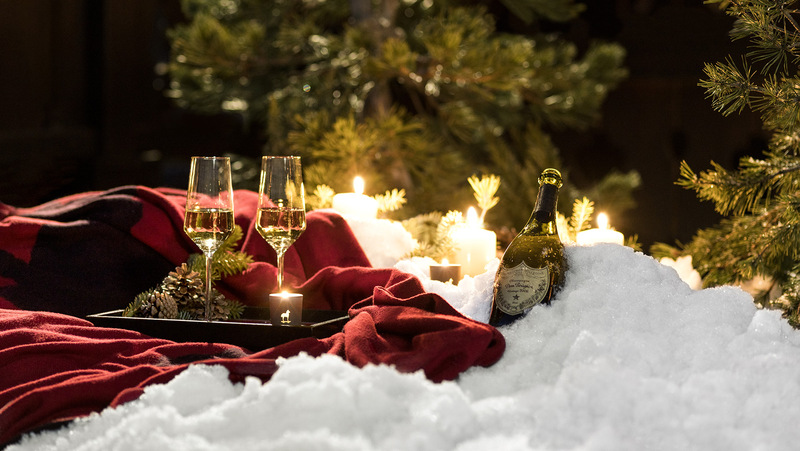 This season, a series of events created especially for you prolong the magic of the festive season. 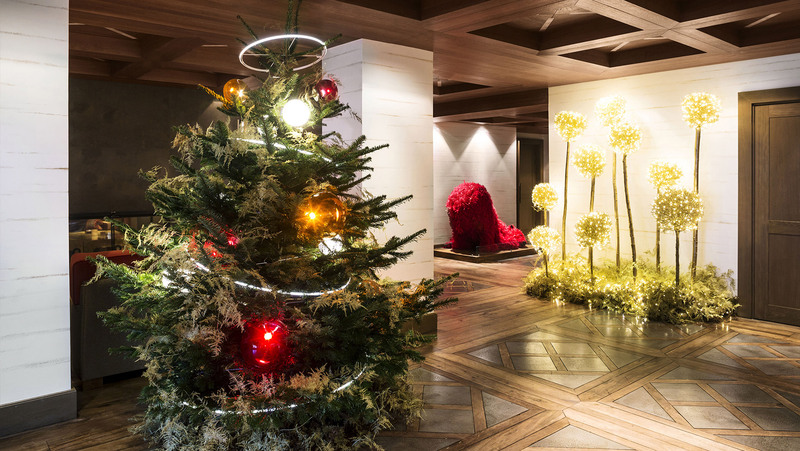 For Christmas, a dazzling Christmas tree adorned in glass ornaments created by celebrated master glassblowers at Meisenthal illuminates the Maison. 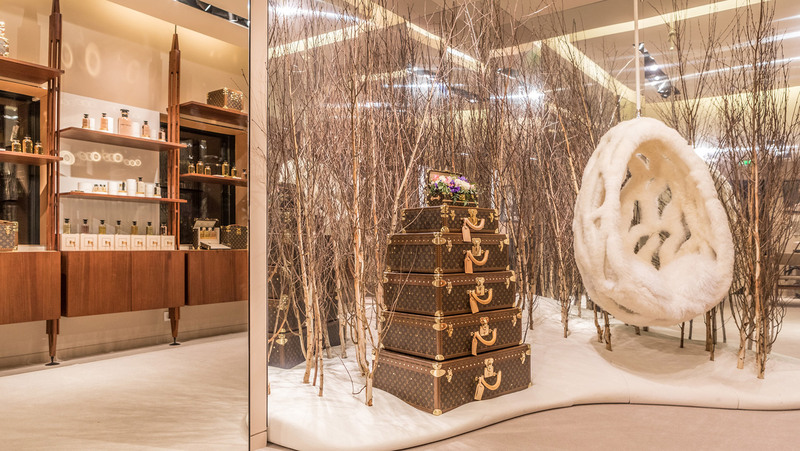 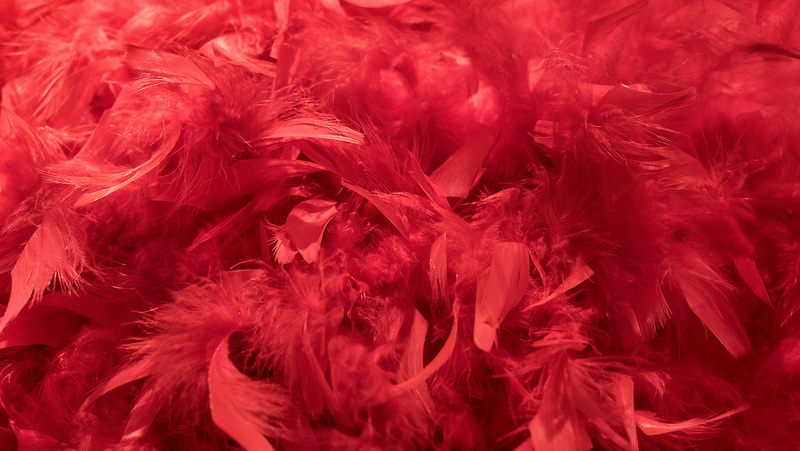 Amongst the highlights of the season, a showcase of the unequaled savoir-faire of Louis Vuitton artisans, a private Fendi couture fur fashion show as well as the traditional Hublot slalom. 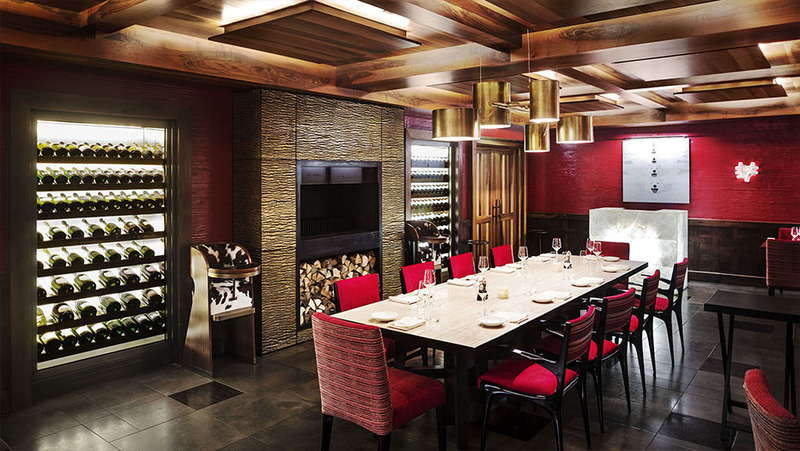 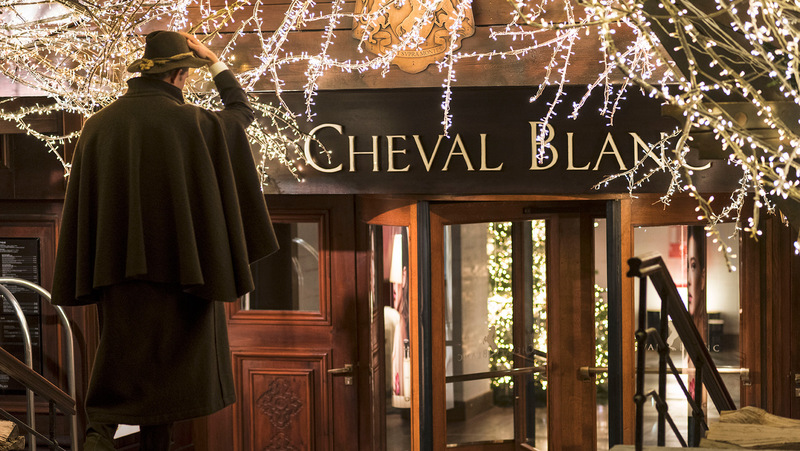 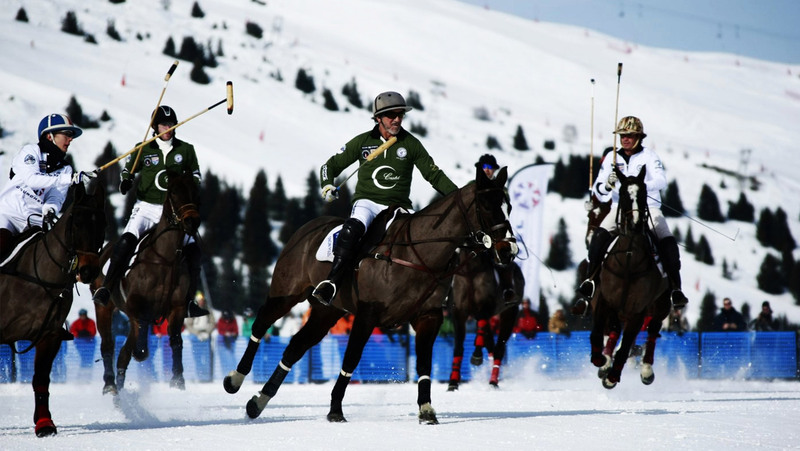 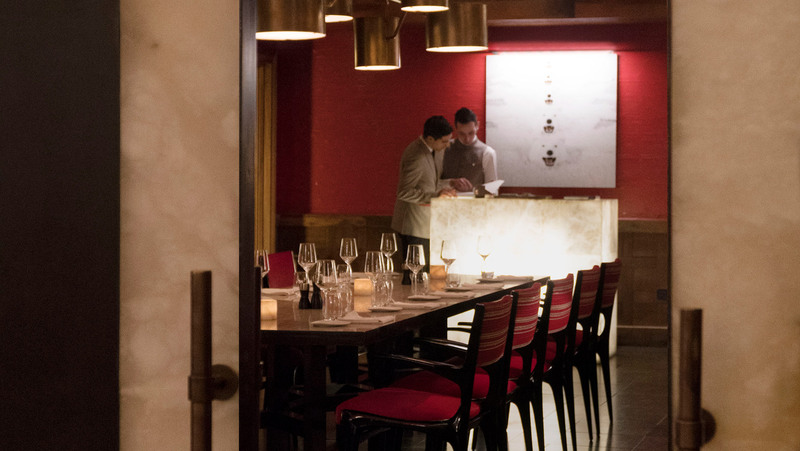 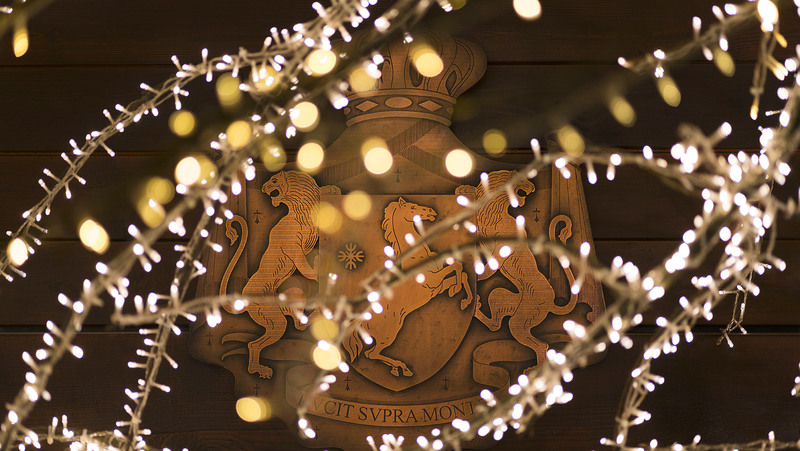 On the gastronomic-side, Le 1947 Cheval Blanc Courchevel is the stage for festive rendez-vous organised in conjunction with Château Cheval Blanc, Krug, Hennessy and Moët & Chandon. 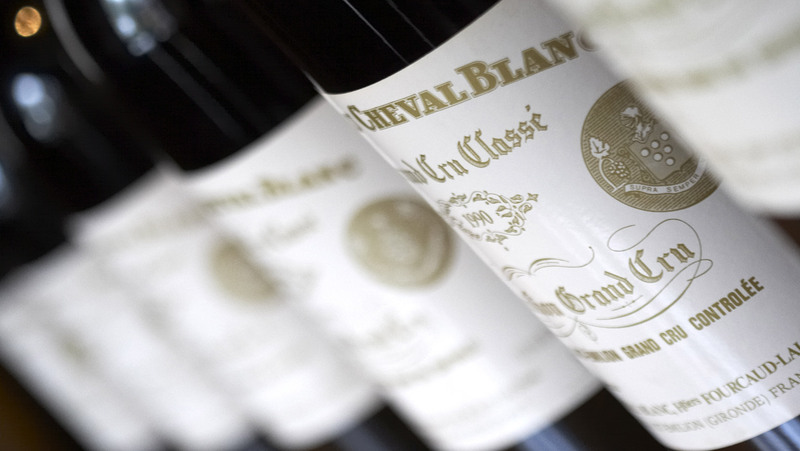 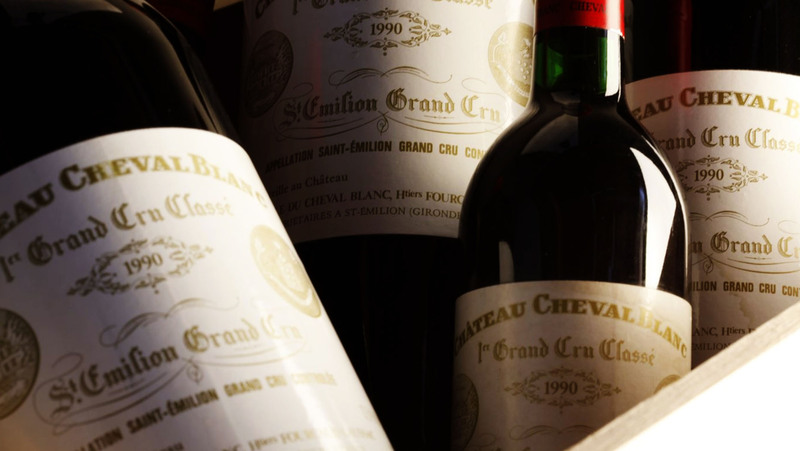 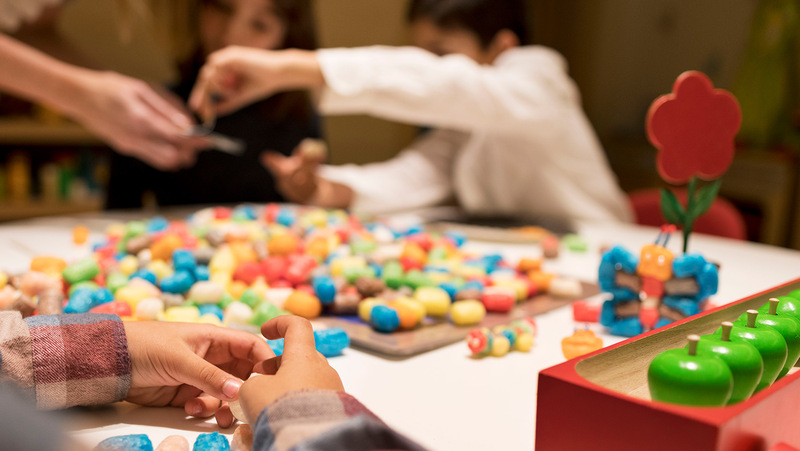 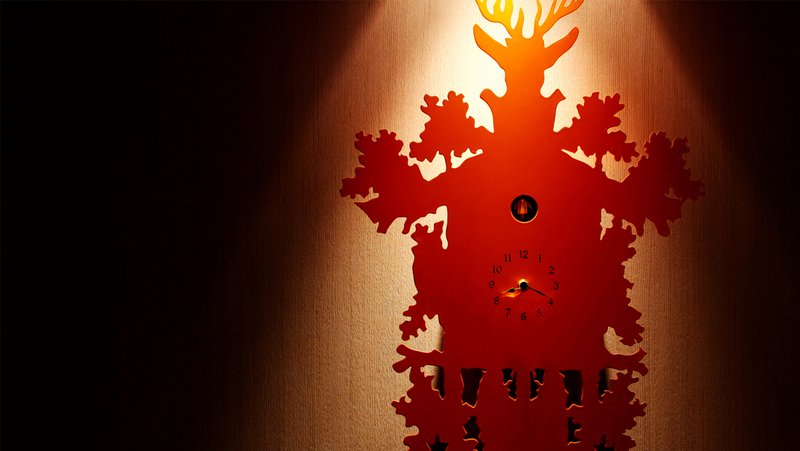 Children’s happiness and the well-being of families is at the heart of Cheval Blanc’s value of Art de Recevoir. 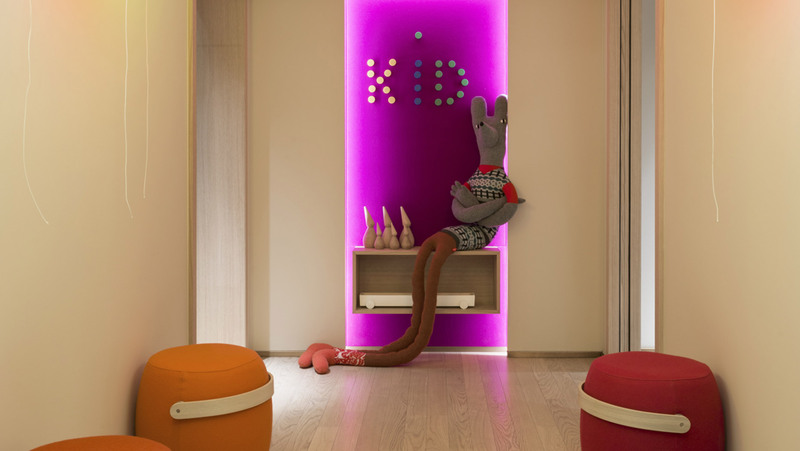 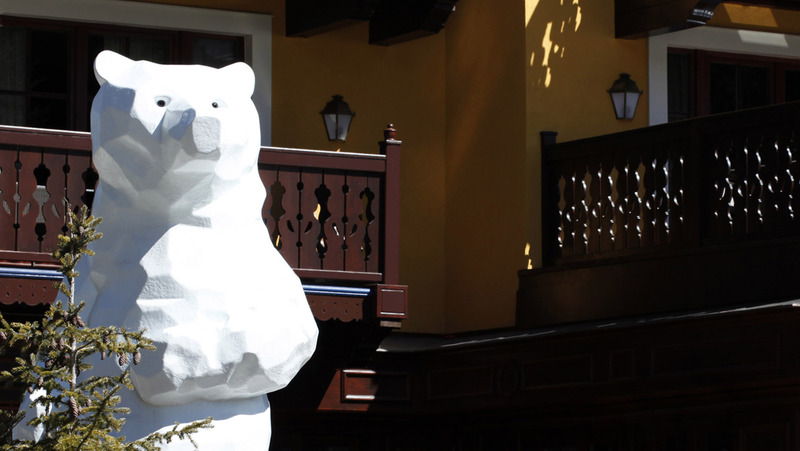 At the Carrousel, the Paddock or during excursions tailored to each individual family, the Maison provides a world of surprises and discoveries for its younger guests! 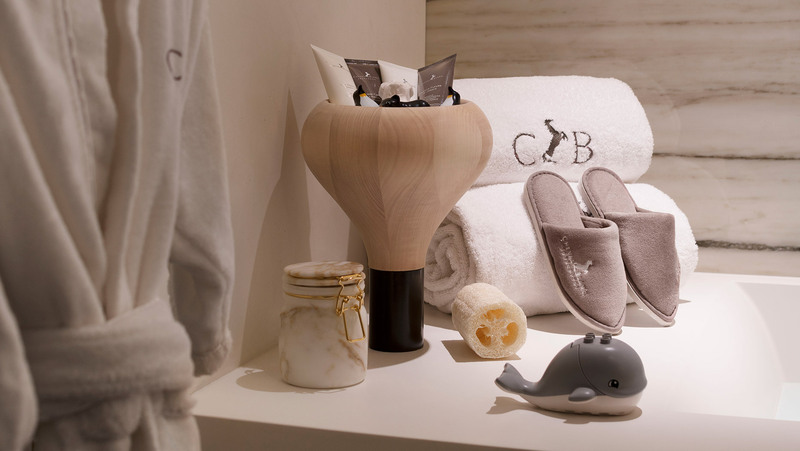 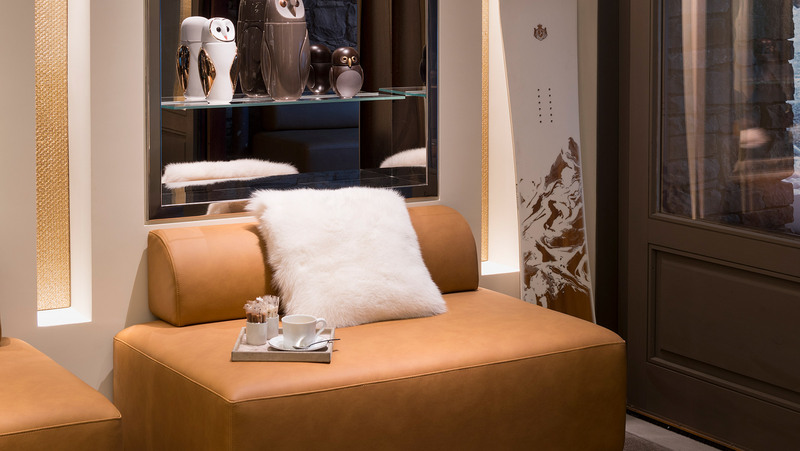 To comfortably and stylishly navigate the slopes during the day and shine during the festive evenings in Courchevel, a carefully-curated selection of items are available in the Maison’s two boutiques. 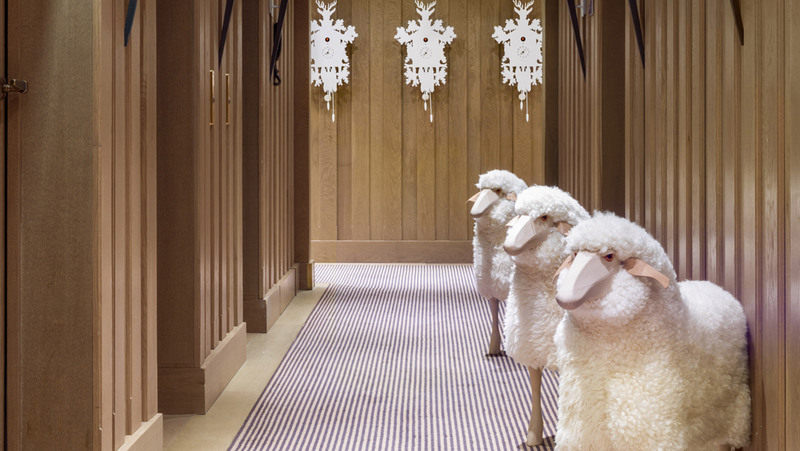 You may also take advantage of shopping in complete privacy. 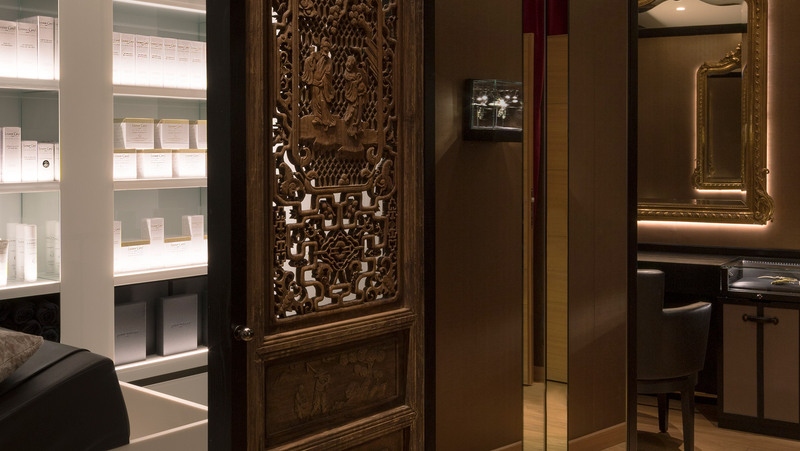 On the ground floor, a wall of natural leather labels catches the eye and leads to the entrance of the Louis Vuitton store. 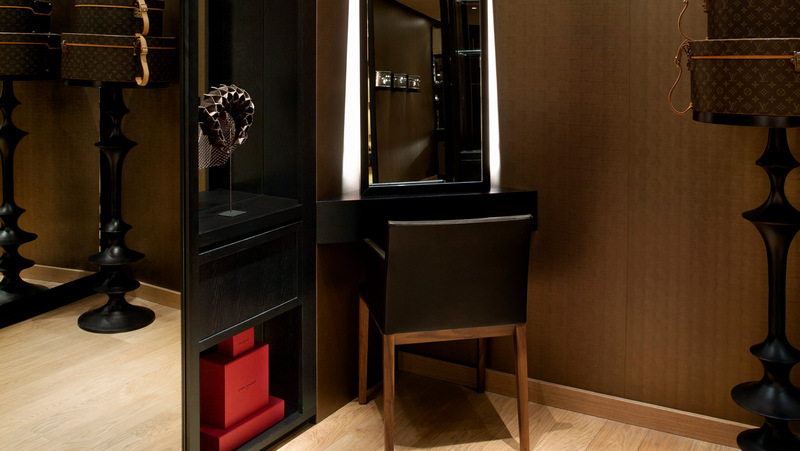 Inside, the flagship products of the celebrated leather-artisan are presented in exclusivity. 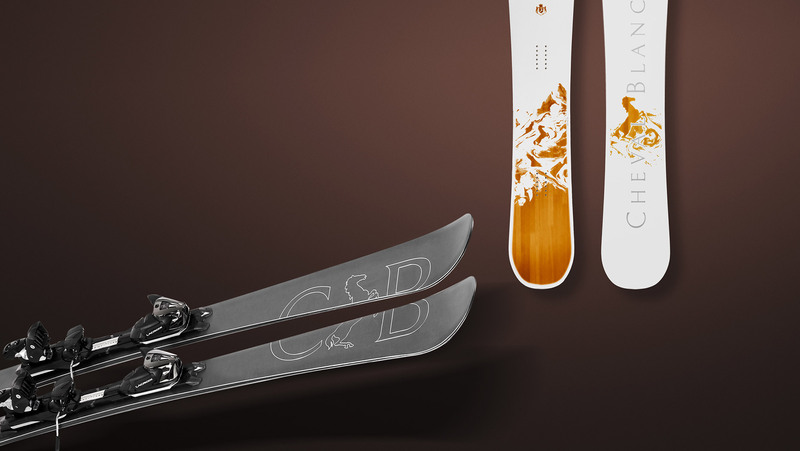 The Ski Service boutiques offers a range of the foremost ski brands, combining cutting-edge technology and attractive stylings. 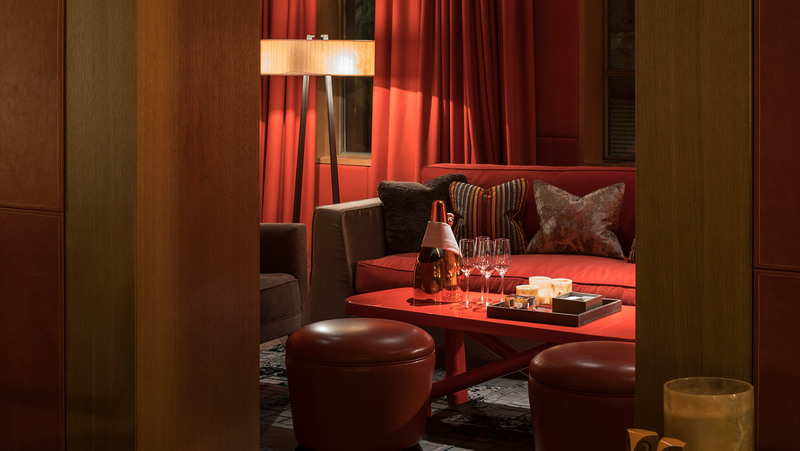 For an ultimate ski experience, Cheval Blanc and Lacroix partnered to create a special edition pair of skis whilst Nidecker created a snowboard in the iconic colours of the Maison – beware the thrill! 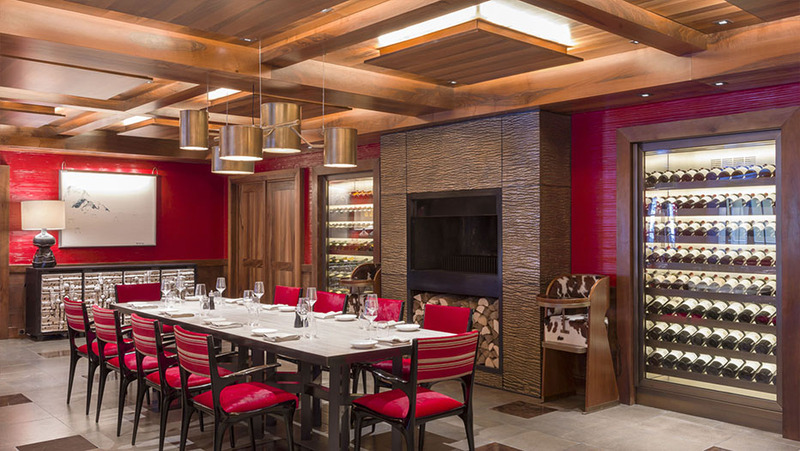 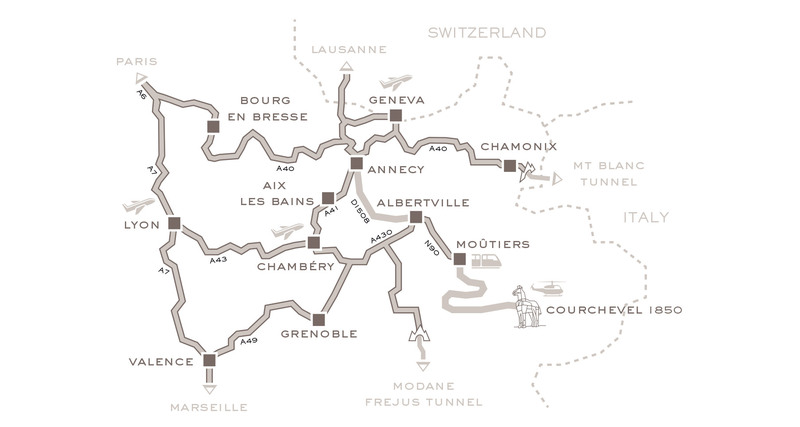 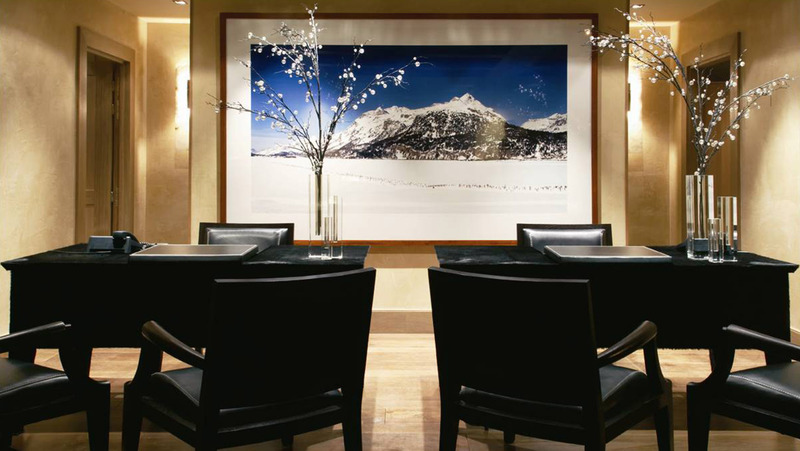 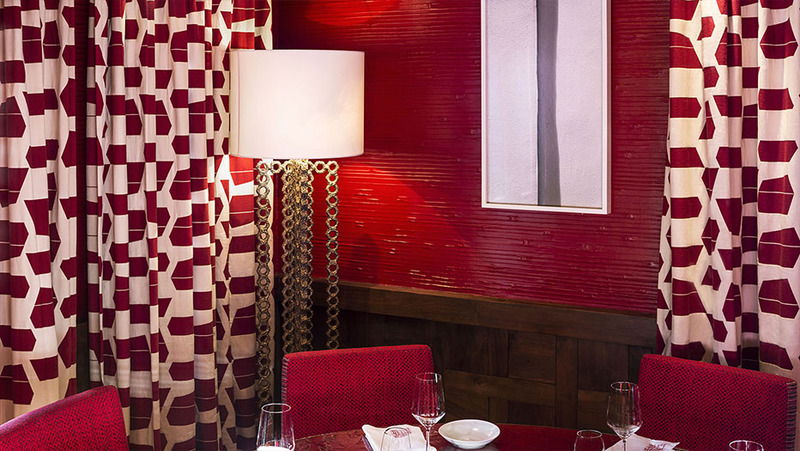 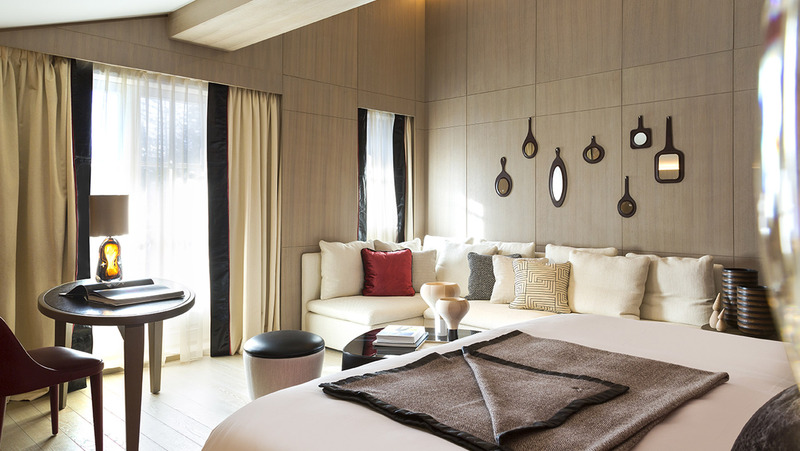 Stay at the Cheval Blanc, for space, privacy and luxury, directly on the ski slopes! 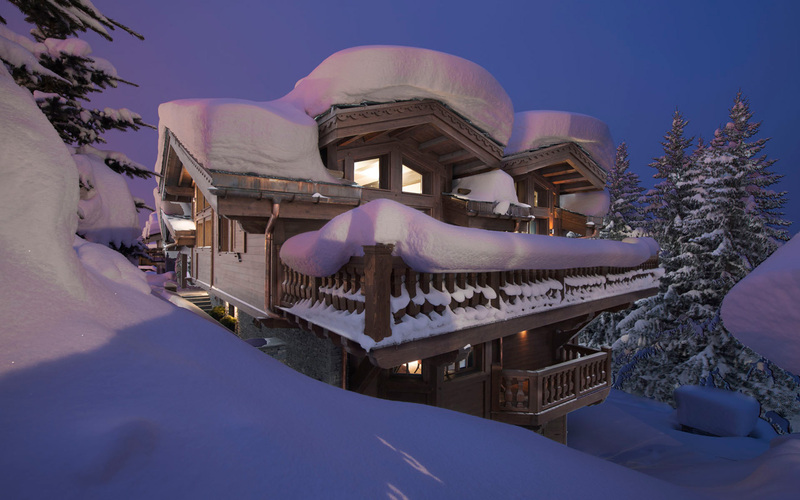 Want to see another chalet in Courchevel 1850?